The BSR Conference 2018 will feature breakout sessions with sustainability experts and leaders from foundations, nonprofits, and governments taking deep dives into the global challenges we face today. The world is changing rapidly. Climate change which requires greater resilience and low-carbon businesses, the future of work as driven by automation, AI and robots, and the subsequent ethics and human rights questions will have significant implications for business strategy and governance. The solution is not simply to accelerate the integration of sustainability into company strategy. It’s time to adopt a new way of designing business strategy and creating value - with sustainability as a crucial element of its foundation that helps companies navigate the business transformation necessitated by a rapidly changing operating environment. Creating a truly resilient business strategy means understanding the sustainability issues that have converged with the business agenda but also retaining the agility to respond to different future scenarios. Join us to explore the building blocks of 21st-century strategy by learning from companies leading on business transformation. 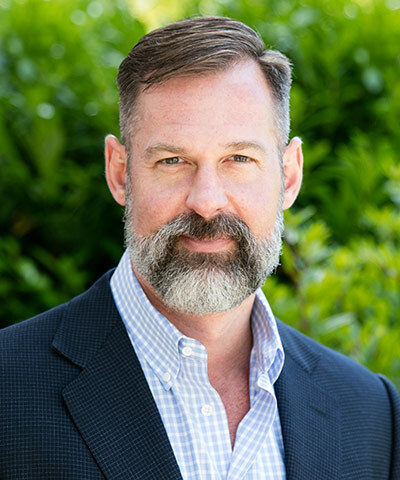 Christopher Wellise directs a global team at Hewlett Packard Enterprise (HPE) that is focused on solving social and environmental challenges in collaboration with nonprofit organizations, governments, customers, and partners. In this role, Wellise guides the development and management of strategic programs and collaborates with senior leaders across the organization to ensure the full integration of corporate responsibility into the company’s business strategy. Prior to HPE and HP Co., he worked at Green Environment Inc. as a vice president. Wellise is passionate about drawing upon his experience in business and science/engineering to analyze how organizations innovate, develop, and market products; consume energy and natural resources; and produce waste streams, to find ways to bring businesses closer to economic, social, and environmental sustainability. Clare Griffin joined GSK in 2012. Her remit includes responsible business strategy and engagement and supporting the board’s corporate responsibility committee, the company’s annual report and responsible business supplement, and CR indices and benchmarks. Griffin is also responsible for communications and government affairs in support of the company’s global health strategy. 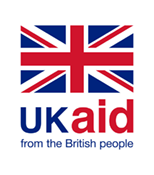 Griffin has worked, both in-house and as a consultant, across a wide range of industries in the U.S. and the U.K.
Peder Michael leads BSR’s work with grant funders and partners as well as development and management of business and multistakeholder collaborations. A member of the BSR executive team, he co-leads BSR’s relationship management activities and provides executive guidance on BSR’s women’s empowerment work. An experienced sustainability executive, Peder Michael works with the world’s leading companies in the consumer, financial services, transportation, healthcare, and energy sectors on business strategy and operations to help them manage sustainability risks and opportunities. He is a member of several sustainability advisory boards—including the Melton Foundation Advisory Board and the Stakeholder Advisory Panel of BAT—and he is a member of the UN Women/UNGC Women’s Empowerment Principles Leadership Group. Prior to joining BSR, Peder Michael was a key player in growing PricewaterhouseCoopers' sustainable business solutions practice in Copenhagen. He also spent five years with the Danish Foreign Service, where he worked on human rights in international development and foreign policy and served on the board of the United Nations Commission on the Status of Women. Peder Michael served on the Danish Government’s Council on Corporate Responsibility from 2009-2012. This September, the business community took center stage at the Global Climate Action Summit in San Francisco, with many companies announcing ambitious new commitments to reinforce and enhance their contributions to scaling up climate action and ensuring that it is inclusive. A “just transition” has two parts: first, managing the impacts on workers and communities of the transition away from high carbon industries and sectors; and second, making sure that climate action both improves existing jobs and creates new, good jobs in low- or zero-carbon sectors. The just transition, which is included in the Paris Agreement, was a critical theme of the Global Climate Action Summit and will be central to COP 24 in Poland. This session will showcase real-life business examples of just transition and inclusive climate action. 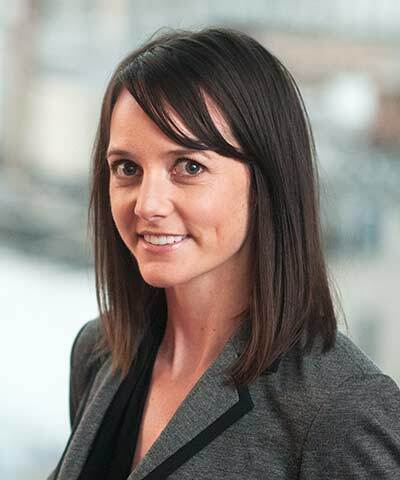 Emily Hickson is the senior manager for The B Team’s Net-Zero by 2050 initiative, which works with CEOs to encourage the courageous leadership necessary to transition the global economy through transformative business models, supporting enabling policy, and shifting norms in capital markets. Hickson also leads the work on business responsibility for a just transition at The B Team. In recent months, they have developed, with the ITUC, the first set of general guidance for business on how to make a just transition. 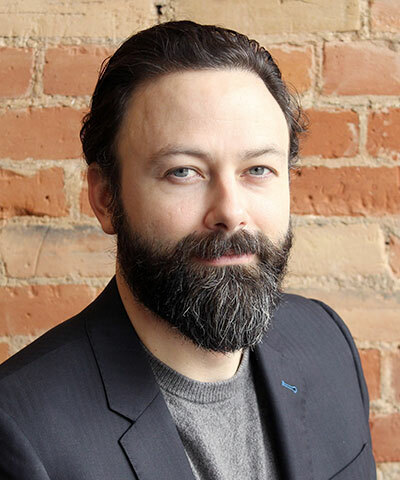 Before joining The B Team, Hickson spent three years working at Climate Action Network (CAN), a network of over 1,000 NGOs working on climate change. During her time there, she coordinated campaigning to influence country targets ahead of the Paris Agreement. 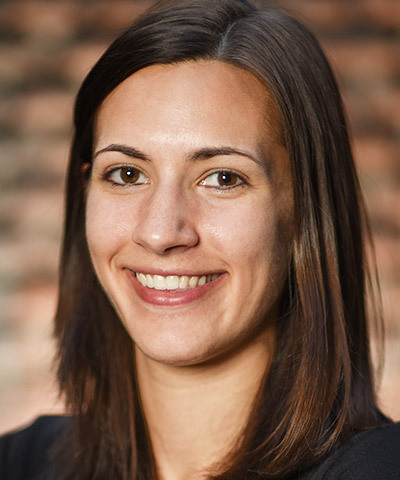 Kate Gordon is an expert on the intersection of clean energy and economic development. She wears a number of hats, including partner on the sustainability team of Ridge-Lane Limited Partners; senior advisor at the Paulson Institute; and non-resident fellow at the Center on Global Energy Policy at Columbia University. Gordon is perhaps best known for her work as the founder and director of the “Risky Business Project,” co-chaired by Michael Bloomberg, Henry Paulson, and Tom Steyer and focused on the economic risks the U.S. faces from unmitigated climate change. A prolific writer, she is currently at work on a book focused on the economic transition of communities built around fossil fuel extraction. Kelly supports information and communications technology companies in achieving their sustainability goals, with a focus on climate change, women's empowerment, and human rights. Prior to BSR, Kelly spent more than six years consulting on energy efficiency, sustainability, and renewable energy for California’s utilities and public-sector clients, such as the University of California. She started her career with the U.S. Peace Corps in Washington, D.C., where she supported programming and training efforts on collaborative international development initiatives. 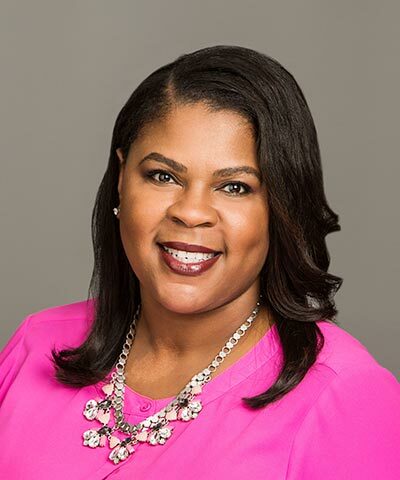 Kelly also serves on Spark’s Board of Directors, advising the nonprofit on grantmaking for women’s empowerment organizations in the San Francisco Bay Area, New York Metropolitan Area, and overseas. She speaks English and is proficient in Italian. Kelly holds an M.A. in International Relations from San Francisco State University and a B.A. in Global Studies from the University of California at Santa Barbara. For many investors, climate change poses significant challenges and opportunities. The Task Force on Climate-related Financial Disclosures (TCFD), led by Mike Bloomberg and Mark Carney, has developed voluntary and consistent climate-related financial disclosures useful to investors, lenders, and insurance underwriters for understanding material risks. But how should a company put them into practice? We will cover the essential elements of implementing the TCFD recommendations, from integrating climate change into risk management to developing climate-resilient strategies through scenario analysis. With a background in nuclear engineering and sustainable business, Greg Kandankulam focuses on creating a sustainable energy future that maximizes resiliency while minimizing the costs to people and planet. As the team lead for NRG’s Sustainable Energy Advisory, he leads a team of sustainability specialists and senior advisors to assist clients in driving their organizations toward reliable, low-carbon, energy procurement. The Advisory also promotes NRG's thought leadership on complex business and energy solutions with a sustainability focus; emerging renewable energy products and supporting business models; and financially related climate risk and disclosure (TCFD). Michael Rubio works closely with Chevron’s senior leadership to develop the company’s strategy on ESG issues and leads Chevron’s outreach to shareholders and key stakeholders on ESG matters. 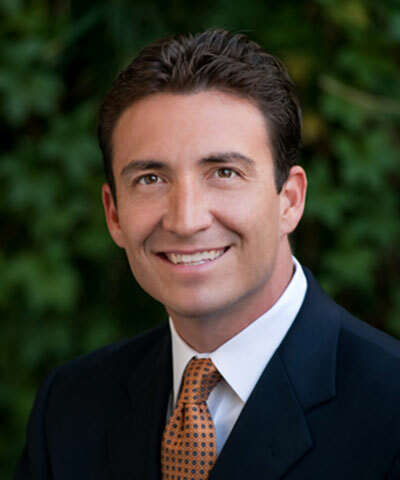 Prior to joining Chevron, Rubio served in the California State Senate and emerged as a leader on issues related to the California Environmental Quality Act. Previously, he served as an elected county supervisor in Kern County, California, where he spearheaded the Kern County Renewable Energy Initiative and worked to facilitate the development of large solar and wind projects in California. Rubio began his career in the public sector serving as lead director for a Healthy Start office, a nonprofit agency that provides social services to disadvantaged children and families in the Central Valley of California. Upstream supply chains are increasingly being impacted by climate change. Hear from senior procurement and business executives who will share their experiences addressing this challenge and their perspectives on how businesses can incorporate climate resilience into their supply chains in the future. The discussion will explore how to engage core business functions on this topic and what can be done to actively address it, both inside a company and through partnership with suppliers and other stakeholders. Guy Morgan directs a team of experts at CHANEL focused on defining a coherent and consistent approach to responsible and sustainable sourcing for the company; management of environmental issues, including carbon emissions and the transition to renewable energy; CHANEL’s approach to circular economy along the value chain; CSR performance management, including non-financial reporting and valuation methodologies; and CSR content generation. He has been with CHANEL for three years. Prior to CHANEL, Morgan worked for over 12 years at a variety of think tanks and consultancies focused on delivering sustainable business solutions to private-sector actors around the world. 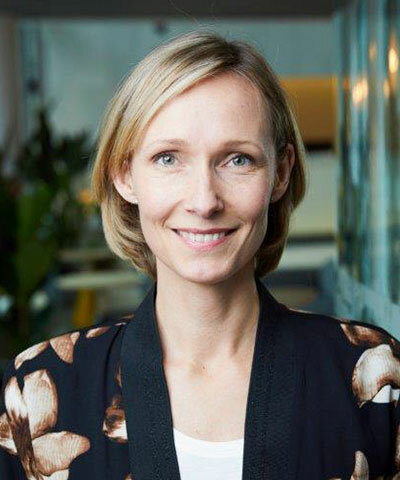 Johanna Hagelberg is the executive vice president, sourcing and logistics at Stora Enso. 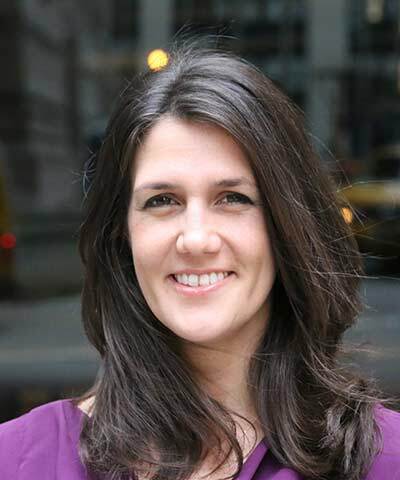 She joined the company in 2013 as senior vice president of sourcing, printing, and living. Previously, Hagelberg was chief procurement officer at Vattenfall AB from 2010-2013. Prior to that, she led sourcing positions at NCC, RSA Scandinavia, and within the automotive industry. She has been a member of the GLT since 2014. She is also a member of the Board of Bufab AB. 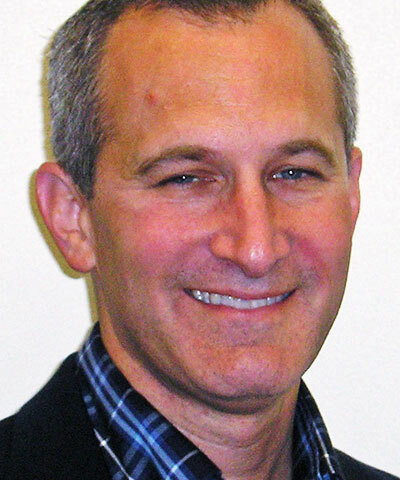 Kevin Rabinovitch leads the corporate strategy for the environmental portions of Mars’s “Sustainable in a Generation” plan, as well as the program for their direct operations, which includes more than 400 facilities globally. As part of this program, his team manages a global portfolio of renewable energy projects in conjunction with efficiency work led by the business units. He also leads the assessment of environmental impact for Mars’s entire value chain and the translation of external environmental science into policy and strategy for the business. 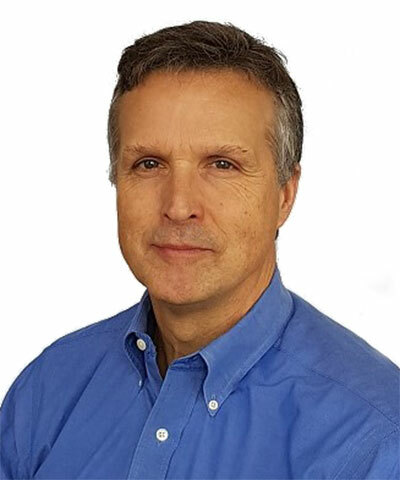 He has been with Mars for 23 years: He has spent 10 years in sustainability and spent the first 13 in R&D functions of multiple Mars business segments in the U.S. and Europe, where he specialized in technology development, scale-up, and intellectual property. Human trafficking is one of the most complex challenges of our time. It exists in virtually every supply chain, and yet remains frustratingly hidden, difficult to understand, and even more difficult to manage. This panel will explore the benefits of collaborating to combat human trafficking among business, civil society, and government. Collaboration on such a complex issue will allow us to further understand and eventually end human trafficking and modern slavery. 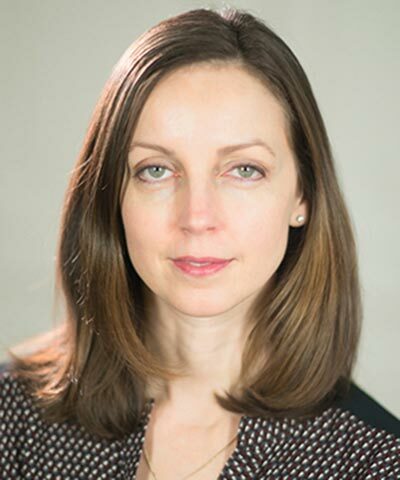 Anna Fraser is a senior public affairs specialist with the Department of State’s Office to Monitor and Combat Trafficking in Persons, where, for more than five years, she has worked on issues concerning global supply chains and human trafficking. She serves as co-chair of the U.S. Government’s Senior Policy Operating Group’s Committee on Procurement and Supply Chains. Prior to joining the State Department, she served on the staff of Congressman Ben Chandler of Kentucky. Mariam Bhacker is a senior project manager at the Business & Human Rights Resource Centre. Bhacker leads the Resource Centre’s work on strengthening corporate respect for migrant workers’ rights in the construction and hospitality sectors in the Arabian Gulf, liaising closely with civil society, international institutions, and major companies on issues related to worker welfare, responsible recruitment, and forced labor in supply chains. Philip Vaughn manages Fluor’s international government relations program. He joined Fluor in 1992. 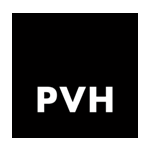 Previously, Vaughn served as director of sales for the Middle East and North Africa region and was based in London and Dubai. He served in Singapore, where he organized and managed the Pacific Business Forum, the first APEC Business Advisory Council, which was co-chaired by Fluor. Vaughn serves on the board of The Washington Chorus—and chairs its Finance Committee—and the board of the Georgetown University Institute for the Study of Diplomacy. He also serves on the boards of numerous professional organizations, including as finance committee chairman of the National Foreign Trade Council and the executive committee of the National Center for APEC. Green bonds, social bonds, impact funds, sustainable loans: Global companies are using innovative methods to fund sustainable projects, both within and outside their companies. But there are several big questions that can keep well-intentioned practitioners from exploring these strategies: How do they work? Have they been successful at achieving business objectives and sustainability impacts? What conditions are needed to set them up? This session will demystify these innovative finance vehicles with real-life examples of what they can look like and what they can accomplish. 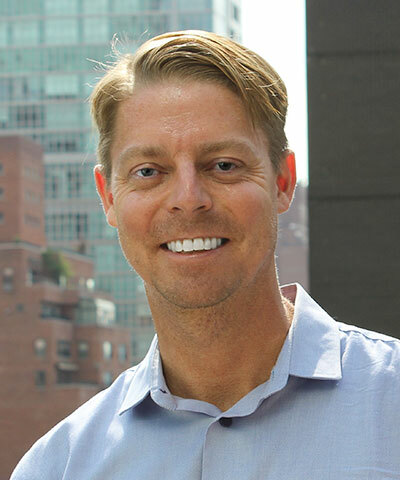 Alex Sloan has spent his career investing in and successfully growing entrepreneurial for-profit and nonprofit organizations that seek to drive financial and/or social impact. 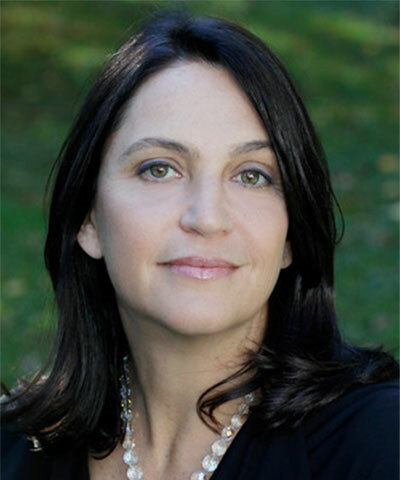 Sloan currently serves as vice president of strategic partnerships and communications at Tides, a global philanthropic partner and nonprofit accelerator that facilitates effective grantmaking and impact investing for individual and institutional donors and also provides infrastructure and nonprofit management services to hundreds of social change organizations nationwide. Sloan leads Tides’ marketing, communications, and client engagement efforts and serves on Tides’ executive team. He was previously director of innovation investments and portfolio director at the Skoll Foundation. He serves as founding chairman and president of Excelerate Foundation and on several other charitable boards. Dolph Habeck and his team are responsible for executing new issuance of sustainability and green financings across currencies at Morgan Stanley. They work with issuers to design marketing and roadshow programs, direct the positioning of the offering with investors, guide an efficient allocation strategy, and ultimately price the transaction. Additionally, Habeck has senior responsibilities across Morgan Stanley’s Investment Grade Corporate, Emerging Market, and Non-Bank Financial syndicate desks. 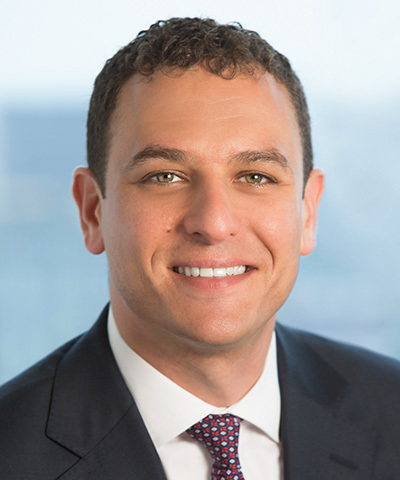 Habeck joined Morgan Stanley’s London office in 2011 to focus on leading debt financings for Investment Grade Corporates and Emerging Markets borrowers and moved to Morgan Stanley’s New York office in 2016. 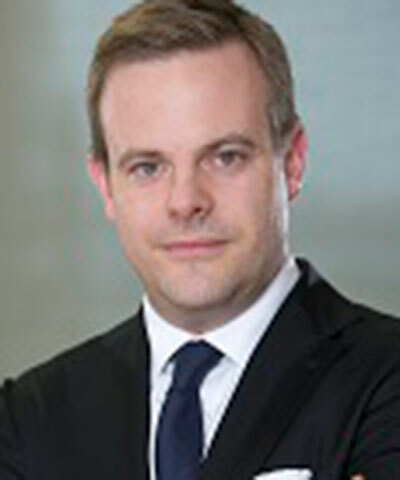 Prior to joining Morgan Stanley, Habeck was responsible for Emerging Markets Syndicate (CEEMEA) with Goldman Sachs, also in London. 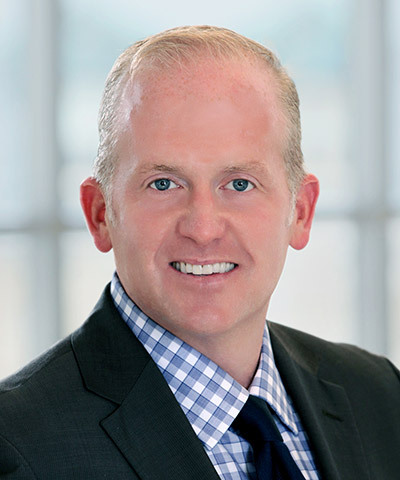 Mark Allen is responsible for managing strategic partners across Merck’s program portfolio, including Merck for Mothers’ (MfM) partnership with the Global Financial Facility. Allen also has oversight of MfMs’ digital portfolio. Previously, Allen was the managing director for Africa programs with Malaria No More, managing the organization’s investments across six countries. He started his professional career in international development at the Touch Foundation, a McKinsey & Co.-founded organization focused on building human resource capacity in the health sector in Tanzania. Prior to the Touch Foundation, he lived in rural Kenya as a Peace Corps volunteer. Allen has over 20 years of experience in both the private and international development sectors. 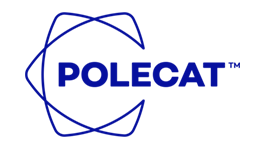 William Center is responsible for the day-to-day account management for bi-lateral and multilateral organizations based in the United States. Center has had an extensive international diplomatic/business career encompassing tours of duty at the European Bank for Reconstruction and Development, the World Bank, and various diplomatic/commercial assignments in Taipei, Hong Kong, Shenyang, Shanghai, Paris, Johannesburg, and Islamabad. He is a recipient of the highest honorary award given by the U.S. Department of Commerce, and he was admitted into the ranks of the Senior Foreign Service. 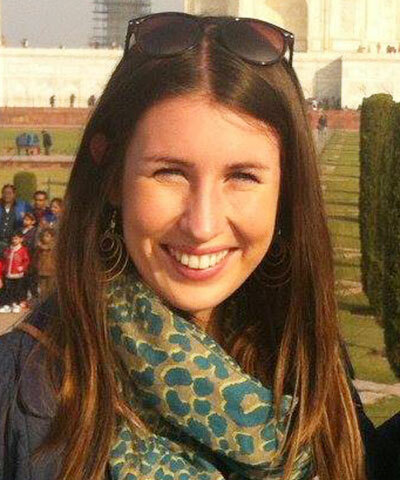 With strong project management skills and a background in CSR analysis, Charlotte supports companies in the financial services, consumer products, transport and logistics, and information and communication technology industries with advice on sustainability strategy, supply chain, and human rights. Charlotte leads BSR’s financial services practice in Europe. Before joining BSR, Charlotte was an analyst for nearly five years at Innovest and Vigeo, two socially responsible investment rating agencies. Through her work as an analyst, Charlotte covered the energy, automobile, retail, and software sectors. Charlotte is bilingual in French and English. She holds an M.A. in CSR Management from the University of Paris XII and a B.A. in International Affairs from the University of Colorado. With the proliferation of mobile phones, smartphones, and tablets across the developing world, mobile technology offers new ways to engage and support workers in global supply chains. Whether through learning apps to improve knowledge and skills or through mobile-based surveys and announcements to inform workers on key issues, technology is increasingly present in factories and farms and in the hands of workers. Join us to explore emerging trends in technology-based support for workers in supply chains and hear insights from companies and technology experts on how to measure the effectiveness and impact of various tools in this dynamic space. 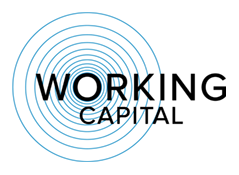 Dan Viederman is a managing director at Working Capital focused on efforts to engage and invest in entrepreneurs and tech innovators in pursuit of new tools to scale improvements for vulnerable workers in global supply chains. Previously, Viederman was CEO of Verité, a leading nonprofit organization working against global forced and child labor through in-depth research and corporate engagement. Viederman has also managed China offices for World Wildlife Fund and Catholic Relief Services. 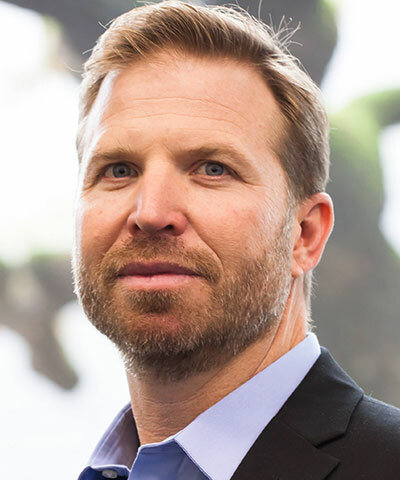 Eric Austermann is Jabil's vice president, corporate social & environmental responsibility, reporting to the COO, and is a member of his senior leadership team. 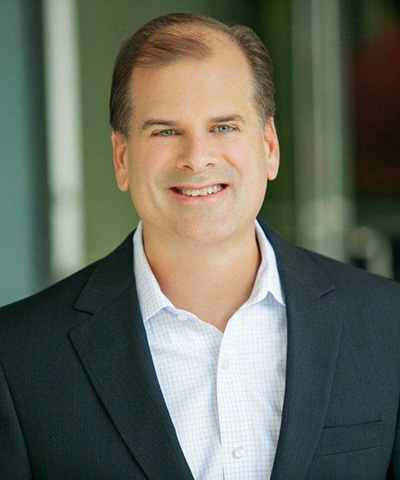 He assumed strategic responsibility for Jabil’s sustainability efforts in 2008. Over the last 22 years, Austermann has held various positions in manufacturing operations and business development, from line supervisor to running a US$200 million account. Austermann joined Jabil in 1994 as production line supervisor. He served six years on the EICC board of directors and has held various positions on industry standards development groups. Li & Fung’s sustainability group leverages speed, innovation, and digitalization to drive measurable human rights, workplace safety, and environmental impact in one of the world’s largest supply chains. In her role, Laura Rainer engages stakeholders, B2B customers, and industry collaborations towards a more sustainable supply chain. She has held various roles at Li & Fung, spanning internal strategy, corporate sustainability, and supply chain sustainability. Prior to Li & Fung, she was a buyer for Takashimaya New York’s iconic home department, where she introduced a line of sustainable housewares in partnership with Aid to Artisans. Lauren leads BSR’s HERproject programs in East Africa, working with companies and civil society to build inclusive workplaces in global supply chains. She also oversees HERproject’s strategy for monitoring and evaluation and program sustainability and contributes to BSR’s women’s empowerment practice. Previously, Lauren worked at the Social Science Research Council in New York, where she conducted research on migration, development, and human rights. Lauren’s consulting experience includes giving advice on best practices for monitoring and evaluation for the Center for Socio-Economic Development and developing recommendations on the post-2015 Millennium Development Goals agenda for UNDP. With a focus on sustainability in emerging markets, Lauren has led research projects on value chain development and women’s empowerment in Ethiopia, Kenya, and Vietnam. Lauren holds an M.A. in Public Affairs from Sciences Po and a B.A. in International Relations from Tufts University. Many large companies engage a spectrum of stakeholders on sustainability. However, the stakeholder landscape, like so many aspects of modern business, is being disrupted by social media and technology. The democratization of stakeholder engagement means that a single individual can at times have more influence than a well-coordinated NGO campaign. Using big data tools, we will explore the origins of stakeholder campaigns and identify who has influence and who has expertise. Real-time stakeholder mapping will challenge participants’ expectations of trends and inform an open discussion about how stakeholder engagement models should change. 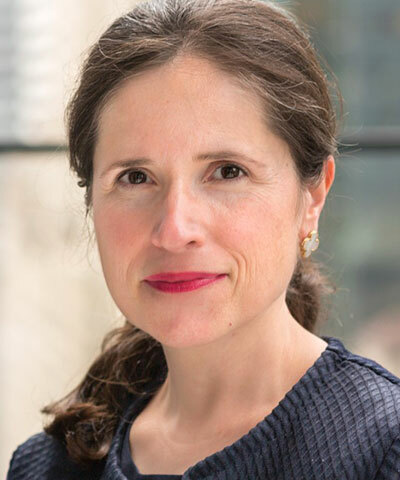 Ariel Meyerstein engages with diverse global functions to help lead reputational risk management of critical human rights and sustainability issues through policy development, stakeholder engagement, and portfolio and transactional due diligence. 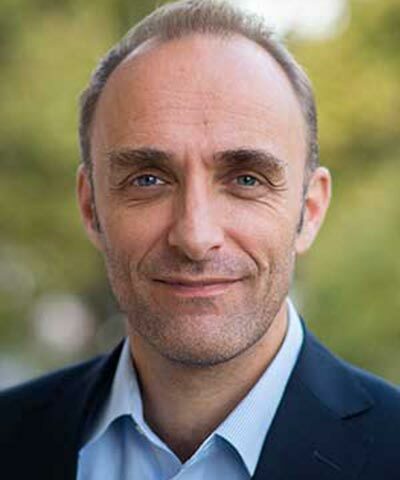 Prior to joining Citi, Meyerstein led multilateral policy engagement at the intersection of trade, investment, human rights, and sustainable development for the U.S. Council for International Business, where he also created the Business for 2030 platform in 2015 to enhance business engagement in the SDGs. A term member of the Council on Foreign Relations, he has served on a number of multi-stakeholder advisory committees to the ILO and OECD, as well as various U.S. executive branch agencies. Prior to USCIB, Meyerstein spent several years working for global law firms, in international courts and tribunals, and for human rights NGOs. 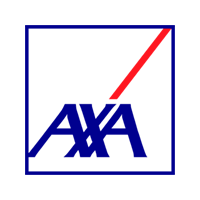 J’s proprietary global reputation intelligence system—a custom model for reputation management that allows the company to quickly identify, assess, and respond to reputational risks and opportunities, as well as engage more effectively with employees and the external stakeholders. 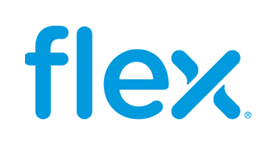 It has helped to predict, measure, and optimize the impact of corporate programs and invest differentially in the initiatives, assets, and channels that best drive reputation outcomes. McCaffrey began his career at American Express. He has also held positions of increasing leadership within various business units, including over-the-counter pharmaceuticals, beauty/skincare, women’s health, and vision care. Yasmin Crowther is vice president for strategic projects, sustainability, and citizenship at reputation risk intelligence firm Polecat. She has spent her career working to understand how different cultures and stakeholders engage and how to anticipate and manage conflictual and controversial issues. She has written extensively on the role of business in society and on how technological advances are impacting the world in which we live. Previously head of consulting at SustainAbility, Yasmin has worked with Polecat since its founding in 2007. She leads Polecat’s partnership with BSR, delivering actionable intelligence to BSR members from the universe of conversations taking place online and in social media. Yasmin is also responsible for Polecat’s own citizenship and sustainability performance. Laura spearheads BSR’s New York office, working with global companies across a range of industry sectors and sustainability issues. She also serves on BSR’s Executive Committee and oversees global membership strategy and services. Laura works with leading global companies to develop and enhance their sustainability strategies in order to maximize value for both business and society. She runs senior-level sustainability strategy workshops and multi-stakeholder forums and she launched BSR’s global financial services and media practices. She works with consumer products and healthcare companies, among others. She has also published reports on environmental, social, and governance integration in mainstream investing, as well as sustainability integration and leadership. From 2006 to 2010, she facilitated the Electronic Industry Citizenship Coalition, growing the initiative from 15 to more than 50 electronics companies. 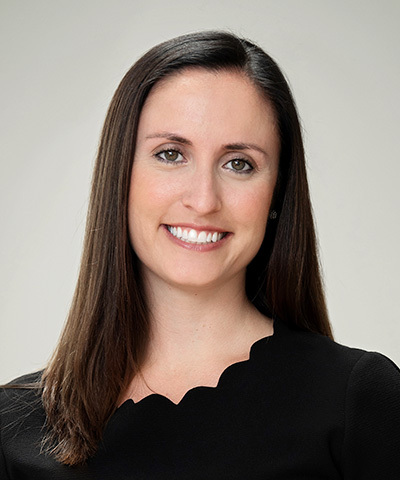 Laura previously worked for Deloitte Consulting, where she acquired extensive strategy experience advising multinational financial services companies. She also managed a community development project in Ecuador, developed the business strategy for a social venture in Brazil, and worked with the biotechnology sector in Chile. Laura holds an M.B.A. from Stanford University and a B.S. in Industrial and Labor Relations from Cornell University. She is an adjunct professor in the Bard M.B.A. in Sustainability program. 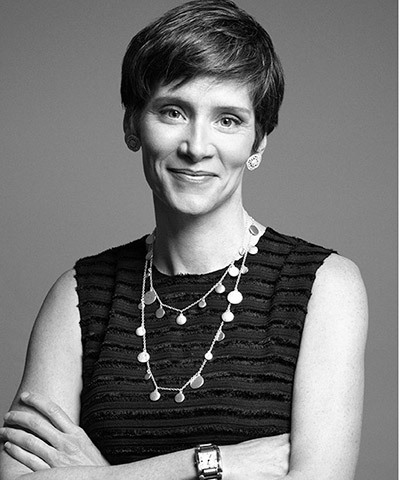 Kristina Kloberdanz is Mastercard’s first Chief Sustainability Officer. A catalyst for change, she works with Mastercard’s board of directors and senior executives to advance sustainability and drive strategic growth. As CSO, she collaborates with leadership across the business to integrate sustainability initiatives shared among business units and position them to be enterprise wide drivers of growth—in advancing inclusive growth; ensuring a workforce that is inspired by a sense of purpose; limiting its impact of climate change; and putting ethics, data privacy, and security first. Kloberdanz’s role at Mastercard rests on two decades of work at IBM leading its global corporate responsibility, as an inaugural member and facilitator of IBM’s Corporate Service Corps and managing IBM’s global sports and entertainment sponsorships, among other responsibilities. She has served on a variety nonprofit boards and advisory councils. She is a former professional ballerina and a certified holistic health coach. Alison leads BSR’s sustainability management practice and also works closely with our energy and extractives member companies. She focuses on approaches to sustainability through risk management, strategy, stakeholder engagement, transparency, ethics and governance, and organizational change. Previously, Alison was a senior managing director at Control Risks, where she helped companies operate with integrity, particularly in high-risk environments. 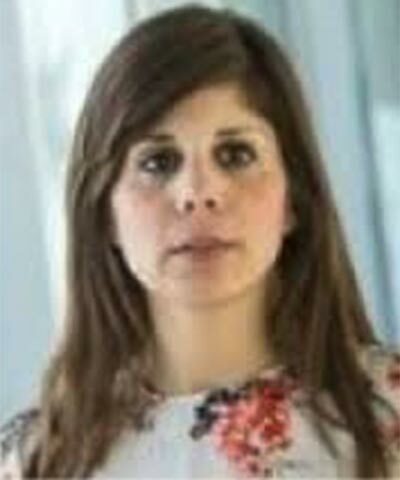 She has also worked at Transparency International, PricewaterhouseCoopers, and IHS Global Insight. She has experience in strategic intelligence, market entry assistance, risk consulting, due diligence, internal investigations, enterprise risk management, and ethics and compliance. She speaks and writes regularly on risk and organizational culture. She is a board member of the ethics organization Center for Business Ethics and Corporate Governance. She is also an Adjunct Professor at Fordham Law School. Alison holds an M.A. in International Relations from the University of Chicago, an M.A. in Organizational Psychology from Columbia University, and a B.A. in Modern History from Balliol College, Oxford University. Embedding gender into business development and product design processes unlocks substantial market opportunities. Specialists will hold a lively conversation to shine the spotlight on why incorporating women’s unique needs, desires, challenges, and constraints in the design of products and services can drive innovation, shift gender stereotypes—both inside companies and in society—and open up new market opportunities. Participate in a live gender-centered design thinking challenge to put your insights to work to overcome a real business or social issue. 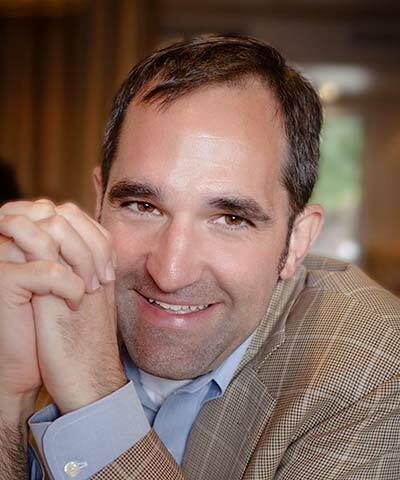 Eric Ostern is responsible for developing the global partnerships strategy and implementation plans that support brand purpose, drive business growth, and deliver positive social value. He is a member of Unilever’s brand and business teams, providing strategic counsel and ongoing support. Previously, Ostern oversaw sustainability, corporate giving, and community relations for Unilever North America, as well as facilitated the alignment of Unilever’s global sustainability strategy across the Americas. Prior to joining Unilever, he spent more than a decade in a Fortune 10 corporation where he managed corporate responsibility strategies and programs as well as public policy. 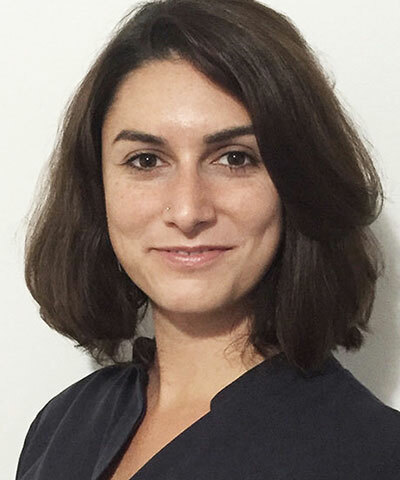 Garance Wattez-Richard launched, and has been heading since 2016, AXA Emerging Customers, a business whose objective is to protect tomorrow’s middle class and close the insurance gap across emerging markets. Before developing this business, she spearheaded SheforShield, the first global study highlighting the potential represented for the insurance industry by women as a growing client segment. 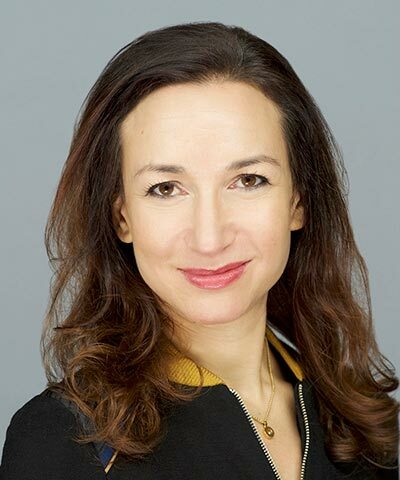 She started her career at the European Commission in Brussels, went on to work within the Office of the Chief Economist of the European Bank for Reconstruction and Development (EBRD) in London, and then spent several years working as a strategy consultant. In 2005, she joined AXA Investment Managers, before becoming global head of external communications for the AXA Group in 2012. 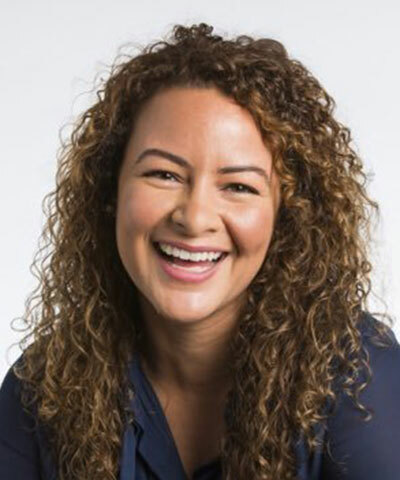 Jessica Hyman is the head of the strategy and operations for the people team at Atlassian, a software company whose mission is to unleash the potential of every team. In her role, Hyman is responsible for overseeing the creation and design of people programs that improve the experience of Atlassians. She also leads Atlassian’s new corporate citizenship strategy. Previously, Hyman led global operations for BSR and worked on projects ranging from women’s empowerment to employee engagement. She is involved in Atlassian’s Foundation and Pledge 1% programs and leads a Women in Tech mentoring group in San Francisco. 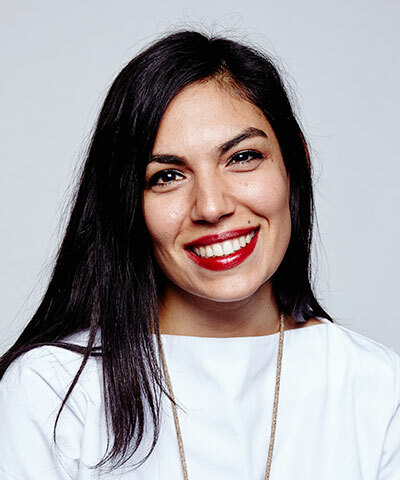 As an OpenIDEO ambassador, Alisa Ahmadian works with organizations across all sectors to drive real world impact by dreaming up and implementing custom programs that enable innovators around the world to leverage Human Centered Design (HCD) for social change. She has worked with new partners to develop initiatives that delivered nearly US$7 million in seed funding to leading edge social entrepreneurs in 2017-2018. Previously, Ahmadian held positions in every sector, starting with a community organization role with the Fund for the Public Interest. At the Clinton Global Initiative, she worked with Fortune 100 companies to develop public-private partnerships. She has worked internationally, including in a research role in Sierra Leone and leading business development for a social enterprise in Cambodia. Ahmadian has extensive event and program design experience, having helped produce the Bay Area Women’s Summit, the Professional Businesswomen of California Conference, and others. 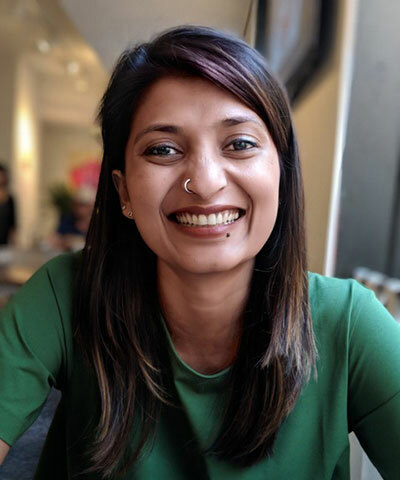 Chhavi leads HERproject’s financial inclusion work globally, including programs and research on wage digitization, and oversees the overall program strategy for corporate engagement and private-sector partnerships on expanding access to products and services for low-income women. Prior to joining BSR, Chhavi worked for a socially responsible investment firm, where he combined financial and ESG analysis to make sustainable investment recommendations. He also spent several years as an operations manager for Oracle’s Asia-Pacific and Americas regions, opening a new operation in India. He has also developed a CSR strategy for a spirits company in Mexico, developed sustainability reports for companies in India and Saudi Arabia, and worked as a freelance CSR consultant for the Institute of Public Health. He speaks English, Spanish, and Hindi. Chhavi holds an M.B.A. from the Wharton School of Business and an M.A. in International Studies from the Lauder Institute of the University of Pennsylvania. He holds a B.A. in English and Computer Science from Rutgers University. 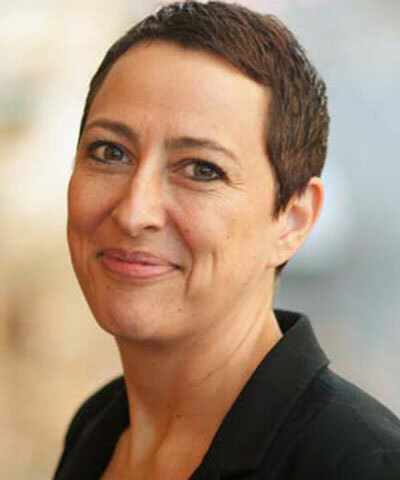 Luisa Covaria is the strategy and design director at OpenIDEO—IDEO’s open innovation portfolio. An interaction designer by training and an activist at heart, her passion lies in creating the conditions for radical collaboration, movement building, and social change. Covaria works with private and public sector partners to bridge the gap between innovation and philanthropy. Her focus spans a broad range of social issues, from securing access to education in the global south to women’s safety through a lens of diversity, equity, and inclusion. Most recently, Covaria worked with a family foundation and impact investment fund to develop a program that aims to maximize every child's potential during their first three years of life. We are in an era of “CEO activism,” with surveys showing that 64 percent of consumers want CEOs to lead on social change without waiting for governments to impose it, and 84 percent expect them to inform conversations and policy debates. But taking a stand on social and environmental issues can be risky in a divisive political environment and it can leave companies feeling that they have lost control of the narrative and are at the beck and call of activists. Case study perspectives will reveal how companies can develop a coherent, focused approach to issues management that is aligned with company values and messaging. As a member of Bank of America’s global environmental group, Ashwani Chowdary was instrumental in developing and managing the Bank’s current US$125B environmental business initiative. 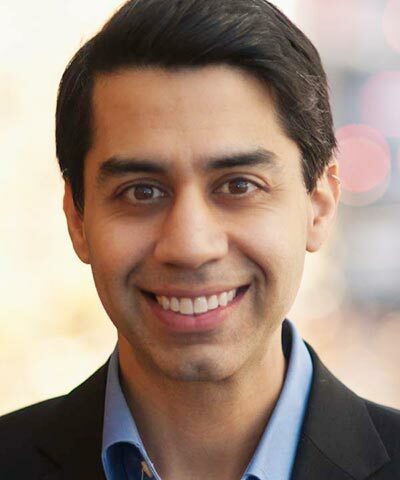 More broadly, Chowdary provides analytical and strategic insight to help determine the organization’s future direction and initiatives in the areas of sustainability and ESG, including drafting the bank’s first human rights statement, conducting the bank’s first materiality assessment, and conducting stakeholder engagement. By leading the bank’s effort to successfully gain inclusion on the Dow Jones Sustainability Index, improving the bank’s ESG ratings, and serving as a core member of the ESG report team, Chowdary has helped to position the bank as a leader in sustainability. 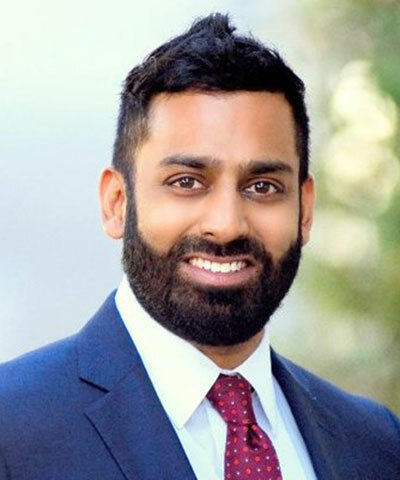 Chowdary has worked in the field of ESG for 17 years, having held previous roles at Bank of America and several other Fortune 100 firms, including JPMorgan Chase and Merrill Lynch. 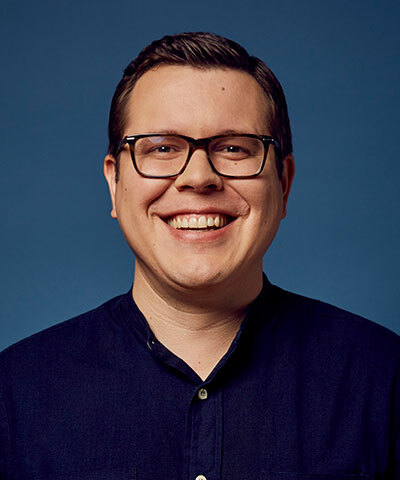 Tyler Spalding drives integration and collaboration across PayPal’s global communications, government relations, and social innovation efforts. 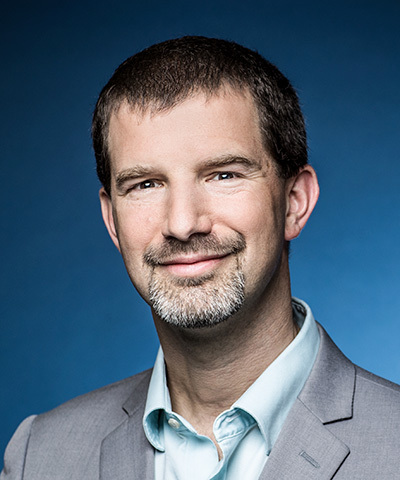 He also helps lead the company’s financial health agenda, global partnerships strategy, and thought leadership activities and works to enhance PayPal’s reputation as a purpose-driven company. Spalding joined PayPal from eBay Inc., where he drove strategic communications and stakeholder engagement efforts as part of the company’s first global, enterprise-level social innovation function. Prior to joining eBay Inc., Spalding worked in Edelman’s Business + Social Purpose practice, during which time he consulted with various multinational companies, multilateral institutions, and nonprofit organizations to design and launch initiatives aimed at creating positive social and environmental impact. Tyler began his career at Ashoka, an international citizen sector organization. Jorgette leads BSR’s consumer products practice for the United States, and the global food, beverage, and agriculture practice. 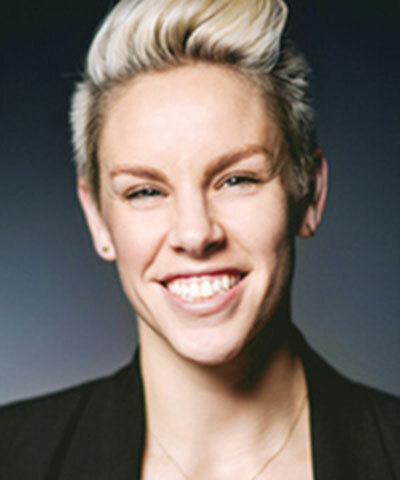 She focuses on aligning innovative sustainability practices with business strategy and operations, working with executives from the food, beverage, and agriculture; consumer packaged goods; apparel; footwear; and retail industries, among others. 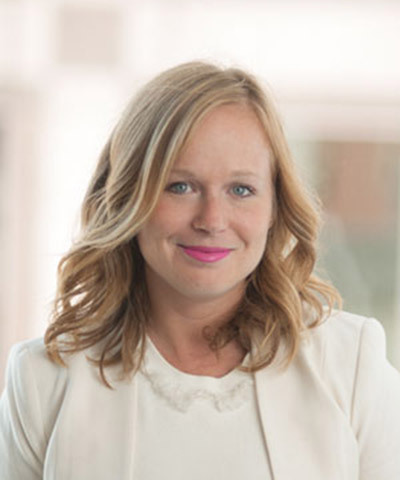 Jorgette brings more than 10 years of experience consulting with multinational companies and governments, with expertise in supply chain management, procurement, strategy, and employee engagement. She has worked at Arthur Andersen, Great Place to Work, and Unisys. She also spent four years at PepsiCo leading global supplier CSR assurance. Jorgette speaks English and Spanish. Jorgette holds a B.A. in Economics and Policy Studies, with a minor in Marketing, from Syracuse University. Blockchain is not just hype—there are some truly inspired applications and use cases out there for this new technology to solve social and environmental challenges in global supply chains. Experts will give an overall explanation of how blockchain technology works and why collaboration is an important aspect of its deployment; they will then dive into case studies of how it is being applied to solve global challenges. Participants will collectively workshop these emerging blockchain applications and develop plans to maximize their scale and impact to improve global supply chains. 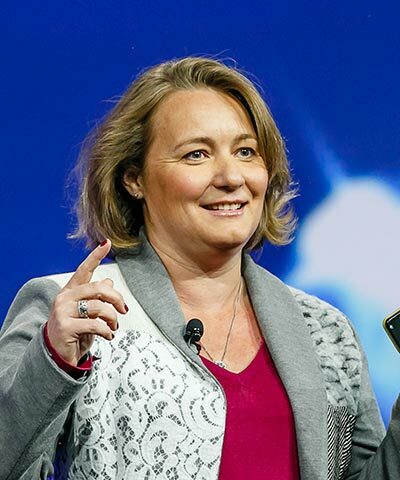 With extensive experience in emerging technology, business, jewelry, and insurance, Leanne Kemp is pushing boundaries with Everledger, addressing real-world challenges through driving transparency and trust along global supply chains using emerging technology. Kemp is an appointed member of the World Economic Forum’s Global Blockchain Business Council and a co-chair for the World Trade Board's Sustainable Trade Action Group. She is also on the IBM Blockchain Platform board of advisors. 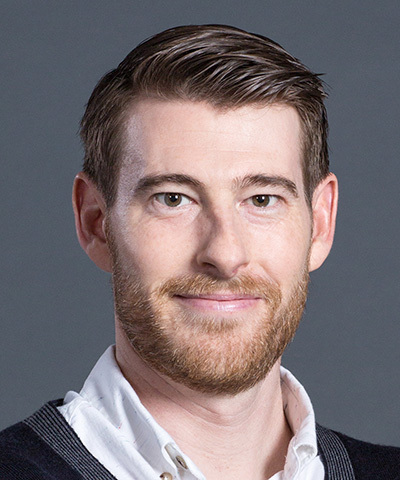 Ryan Taylor is founder of Consensas: a trading company for the new economy. Consensas enabled the first legal exports of ASM (artisanal small-scale mine) gold from the Democratic Republic of Congo in partnership with Impact's Just Gold project, combining development, human rights, and technology into a unique solution to responsible sourcing from conflict-affected and high-risk areas. Taylor, after an early career at Hewlett Packard, became a graduate goldsmith studying under numerous international designers, goldsmiths, and artists. He co-founded Fair Trade Jewellery Co. in 2006 where he focused his passion for flourishing supply chains by collaborating on industry standards and building mine-to-market responsible supply chains in the jewelry and minerals sector. Michael leads BSR’s work with companies in the information and communications technology (ICT) industry. Michael’s background in corporate environmental issues and his extensive sustainable supply chain experience equips him to drive sustainability agendas from the boardroom to the factory floor. Before joining BSR, Michael was the senior program director as the Electronic Industry Citizenship Coalition (EICC) and acted as the director for the Conflict-Free Sourcing Initiative. He also served in the U.S. Environmental Protection Agency’s (EPA) climate change and stratospheric protection divisions, focusing on mitigation and reporting for greenhouse gas emissions. In addition, he previously worked for a sustainability consulting firm in Hong Kong. Michael holds a J.D. and a Master’s in Environmental Law and Policy from Vermont Law School and a B.A. in International Relations from Michigan State University. She advises chief procurement officers and senior directors at leading global companies on the development of sophisticated supply chains that create business value and address urgent and long-term risks and opportunities. 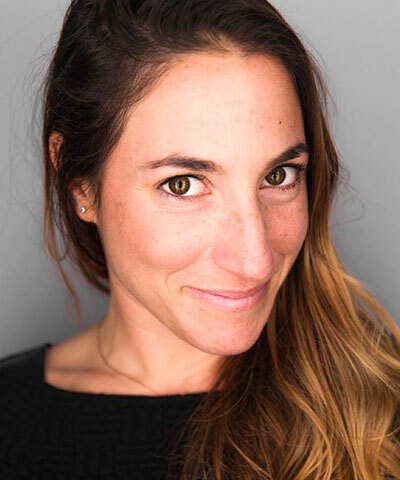 She drives strategy and implementation projects across industry sectors including consumer products, retail, financial services, technology, manufacturing, and transportation, covering sustainable procurement, supplier engagement, collaboration, traceability, climate change, human rights, and labor rights. She serves on the United Nations Global Compact Advisory Group on Supply Chain Sustainability. Before joining BSR, Tara directed supply chain work at 2degrees and was the general manager of Sedex, where she ran and significantly grew the world's largest not-for-profit sustainable supply chain membership organization and database. Previously, Tara worked in sustainable procurement at BAA, was project manager at the World Trade Center Association Los Angeles, and served as a Peace Corps volunteer in Kherson, Ukraine. She is a dual citizen of the United States and the United Kingdom and speaks fluent French. Tara holds an M.B.A. from London Business School and a B.A. with Honors in French and International Studies from Northwestern University. Bad jobs are not just bad for workers and society, they are bad for companies. They are characterized by high employee turnover and absenteeism, poor customer service which leads to reduced sales, and higher costs due to operational problems such as inventory shrinkage or inaccuracies. Join BSR and MIT’s Good Jobs Institute to learn about how your company can implement a ‘Good Jobs’ strategy. Through this interactive workshop, you will have the opportunity to make the business case for jobs with decent wages, predictable hours, sufficient training, and opportunities for growth. Through case examples and interaction with new diagnostic tools, you will learn how good jobs strategies create long-term value for employees, customers, and investors. 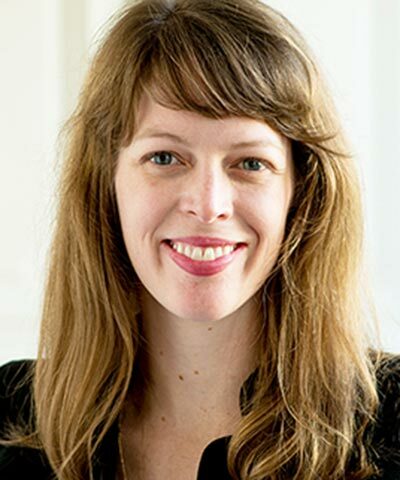 Sarah Day Kalloch has dedicated her career to connecting public- and private-sector leaders with front line workers to build better businesses, create good jobs, and define stronger social policy. She serves as the executive director of the Good Jobs Institute, which inspires industry leaders to redefine what it means to run a successful business and help their companies thrive by creating good jobs. She builds partnerships with companies that are dedicated to transforming their organizations by embracing the Good Jobs Strategy and co-creates tools and resources that guide the transformation process. 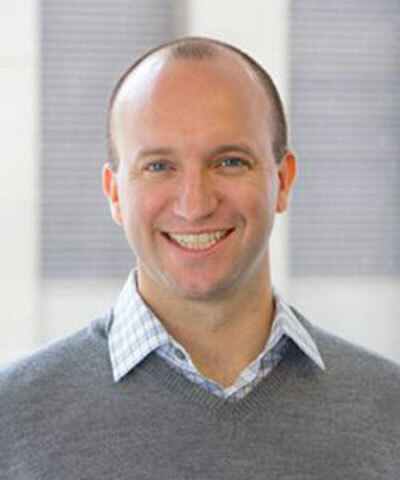 Kalloch previously spent over a decade in international development. At Oxfam, she spearheaded global partnerships that encouraged companies to adopt more sustainable sourcing policies. As an executive at Physicians for Human Rights, she co-founded two health and human rights organizations in Uganda and Kenya and secured billions in HIV/AIDS and global health funding. Sara applies her management consulting and international development experience to BSR’s collaboration and inclusive economy work. She also directs the Global Impact Sourcing Coalition. Previously, Sara worked at Business Call to Action—a multistakeholder platform of the United Nations Development Programme focused on inclusive business innovations in support of the Millennium Development Goals—recruiting and advising companies and social enterprises developing products and services to address the needs of low-income populations. She also worked at McKinsey and Company, consulting global companies and development organizations on projects related to strategy, corporate social responsibility, economic development, and philanthropy. Sara has also contributed to social and environmental justice programs in Latin America through the Inter-American Dialogue, the Sierra Club, and the Knight Center for Journalism in the Americas. She speaks English and Spanish. Sara has an M.B.A. from IE Business School in Spain, and a B.A. in Plan II and Latin American Studies from The University of Texas at Austin. 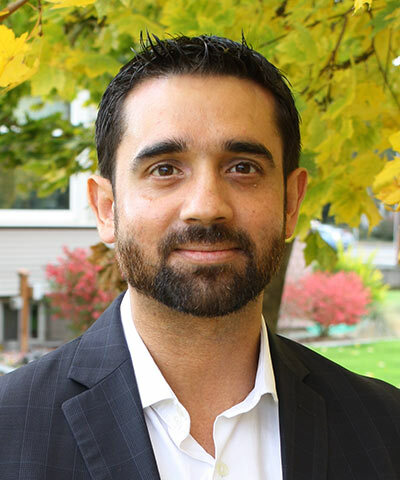 Hiram Lopez-Landin is a program manager for Qualcomm® Wireless Reach™, overseeing a portfolio of programs in Europe, Latin America, and Southeast Asia. He has extensive experience building public-private partnerships based on shared value principles and translating research and policy into action to maximize social impact in diverse communities. 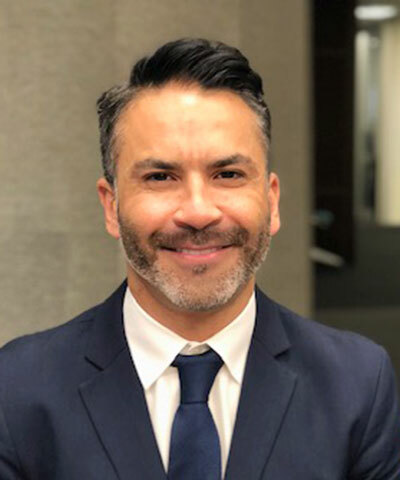 Prior to joining Qualcomm, Lopez-Landin worked as a community engagement manager at AARP where he forged effective partnerships to advance its social mission nationwide. Most notably, he managed AARP Foundation’s nutrition education initiatives and the AmeriCorps VISTA program. 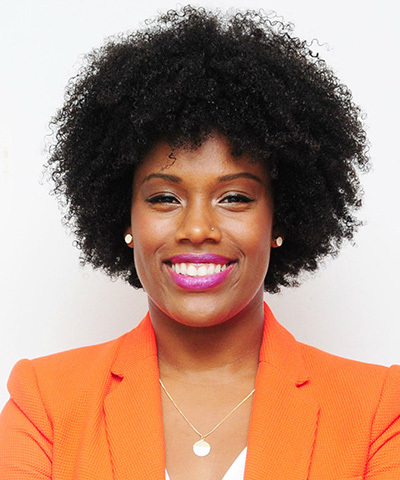 Nikita Mitchell is the creator of Above the Bottom Line, a platform dedicated to keeping you informed of how the world’s most influential companies are taking a stance on important issues. She has been cited as Diversity MBA Magazine’s Top 100 Under 50 Executive and Emerging Leaders. A fierce advocate for women’s rights, Mitchell serves on the Board of Directors for Planned Parenthood of Northern California. She is currently a senior manager at Cisco, where she is responsible for strategy and planning initiatives for the company’s US$20 billion Americas sales organization. 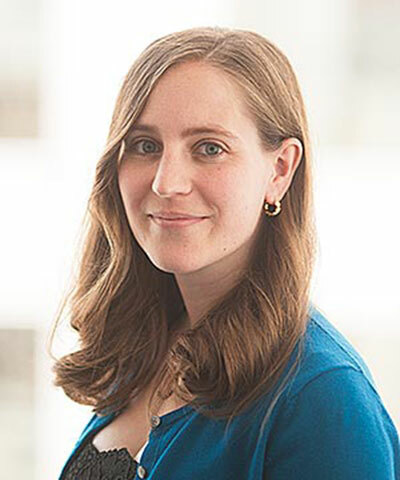 As part of BSR’s Global Communications team, Elisabeth serves as editor-in-chief of BSR’s blog, reports, and BSR Insight newsletter; oversees our digital strategy; and manages marketing projects and campaigns. 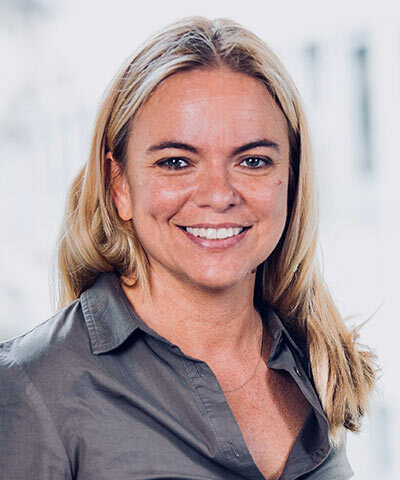 Prior to joining BSR, Elisabeth spent six years in Qualcomm’s government affairs department, where she was responsible for sustainability strategy, reporting, and communications. She led public policy advocacy on sustainability issues, managed programs for the Qualcomm Wireless Reach initiative, and coordinated the company’s first human rights impact assessment. 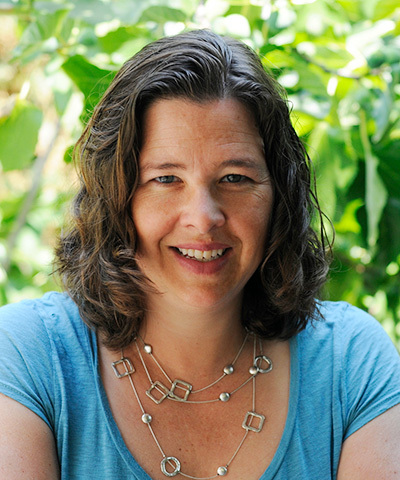 Elisabeth began her career writing for the Pacific Standard and working in social media marketing in Santa Barbara. Elisabeth holds a M.I.A. from the School of Global Policy and Strategy at the University of California, San Diego, where she served as editor-in-chief of the Journal of International Policy Solutions. She also holds a B.A. in Global Studies with a minor in Professional Editing from the University of California, Santa Barbara. In October 2017, the Los Angeles Times published an open letter—led by Adama Iwu and signed by over 140 women—on the pervasive culture of sexual harassment, discrimination, and assault in politics. That letter struck a chord with women in politics and other industries. This resulted in the creation of the We Said Enough Foundation, whose mission is to eliminate bullying, harassment, and assault in the workplace. Iwu now serves as the president of the board. In December 2017, Time Magazine recognized Iwu as a “Silence Breaker” and featured her on the cover of their “People of the Year” edition. In her role at Visa, Iwu advances Visa’s technology and business policy issues at the state level. Maya Raghu is director of workplace equality and senior counsel at the National Women’s Law Center (NWLC) in Washington, D.C. She leads federal policy development and advocacy, litigation, education, and stakeholder engagement focused on women’s economic security and employment opportunity, including equal pay, pregnancy discrimination, and sexual harassment. Prior to joining NWLC, she was a senior attorney at Futures Without Violence and at Legal Momentum (formerly NOW Legal Defense and Education Fund), focusing on economic security, gender discrimination, and gender-based violence, with an emphasis on immigrant and low-income women. 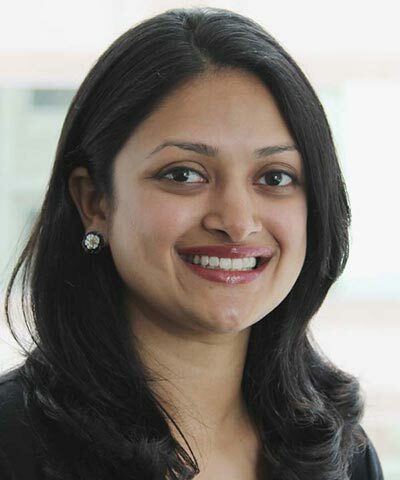 Raghu was also previously an associate at Simpson Thacher & Bartlett LLP and a law clerk for a federal judge. Aditi works with BSR members across sectors to help them improve and advance their sustainability strategies. She leads BSR’s global portfolio of work on women’s empowerment, across consulting, collaboration, and research. Aditi joined BSR after several years at Calvert Investment Management, a leading sustainable and responsible investment firm. There, she led strategic planning for Calvert’s executive committee, and held various roles within the sustainability research team. Her portfolio included companies in the information and communications technology sector, and she led corporate engagements on the subjects of gender corporate governance and gender equality, including the advancement of the Calvert Women’s Principles. Aditi holds an M.B.A. in Finance from George Washington University, and a B.S. in International Economics from the University of Florida. 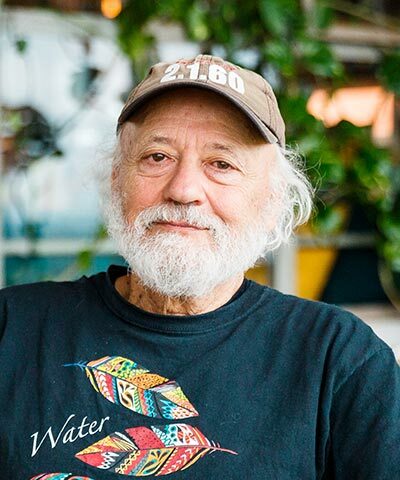 Jeff Furman served on the Ben & Jerry's' corporate board for almost 40 years, providing in-house legal counsel and fostering many of the company's social initiatives. Furman’s current role is board of directors (B.O.D.) emeritus, and he serves as president of the Ben & Jerry's Foundation. 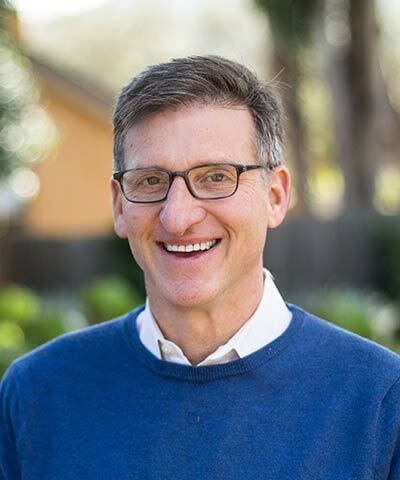 Furman is also the president of Social Ventures as well as a co-founder of the Community Dispute Resolution Center and a community micro-finance program. In addition, he has served on a local school board, working to eliminate race and socioeconomic status as a predictor of student success. He is an advisor to the Dorothy Cotton Institute, Alliance of Family Justice, and the Economic Hardship Reporting Project. Alongside his other commitments, Furman is on the board of the Oakland Institute, currently helping with the Poor People’s Campaign. 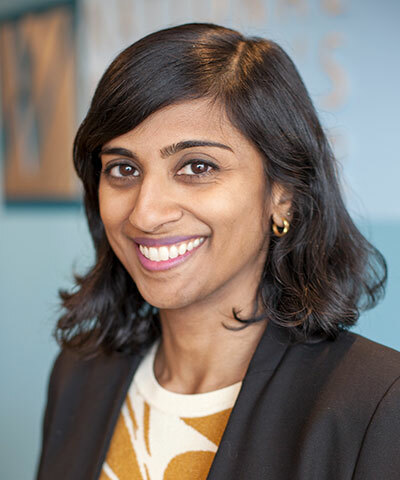 Lakshmi Iyer works with a variety of corporations including Toyota, Intuit, and BHP to help them design and implement strategies for creating shared value, enhancing their corporate philanthropy, CSR, and community development strategies. She brings expertise in many issues, including entrepreneurship development, financial inclusion, and gender equity, and has worked in diverse contexts including the U.S., India, Brazil, Japan, and Australia. She is a co-author of the report, The Competitive Advantage of Racial Equity, which explores how companies can advance racial equity while creating business value. Before FSG, Lakshmi managed CSR for the Mahindra Group in India. What is a company’s responsibility for providing remedy to victims of sexual harassment from a human rights perspective? Or for addressing the consequences of poor working conditions in its supply chain? Under the UN Guiding Principles on Business and Human Rights, companies are required to remedy abuses which they have caused or to which they have contributed; however, developing grievance mechanisms that are robust and capable of providing effective remedy may be difficult, especially in cases where formal judicial mechanisms are corrupt or poorly resourced. Examine the grievance mechanisms developed by companies across sectors and the strengths and weaknesses in their implementation when abuses have been identified. 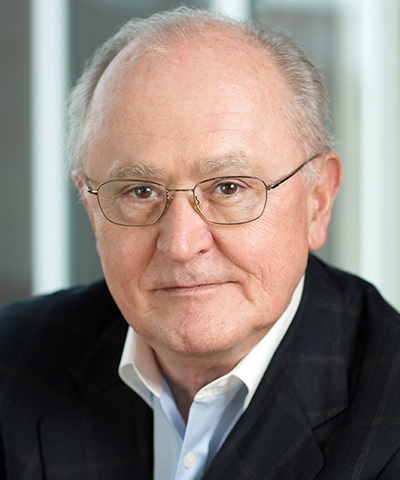 John Ruggie is the Berthold Beitz professor in Human Rights and International Affairs at the Harvard Kennedy School, an aaffiliated professor in International Legal Studies at Harvard Law School, and faculty chair of the Corporate Responsibility Initiative. Trained as a political scientist, Ruggie has made significant intellectual contributions to the study of international relations, focusing on the impact of globalization on global rule-making. A fellow of the American Academy of Arts & Sciences, he has received the International Studies Association's Distinguished Scholar award, the American Political Science Association's Hubert Humphrey award for “outstanding public service by a political scientist,” a Guggenheim Fellowship, the Harry LeRoy Jones Award from the Washington Foreign Law Society for “an individual who has made an outstanding contribution to the development and application of international law;” the World Order Under Law Award from the American Bar Association, and the Wissenschaftszentrum Berlin A.SK Social Science Award “given every two years to honor social science researchers whose work significantly promotes economic and political reform.” Apart from his academic pursuits, Ruggie has long been involved in practical policy work. From 1997-2001, he was United Nations assistant secretary-general for strategic planning—a post created specifically for him by then Secretary-General Kofi Annan. His responsibilities included establishing and overseeing the UN Global Compact, now the world's largest corporate citizenship initiative; proposing and gaining General Assembly approval for the Millennium Development Goals; advising Annan on relations with Washington; and broadly contributing to the effort at institutional renewal for which Annan and the United Nations as a whole were jointly awarded the Nobel Peace Prize in 2001. From 2005-2011, Ruggie served as the UN secretary-general’s special representative for business and human rights. The final product of his mandate was the UN Guiding Principles on Business and Human Rights. 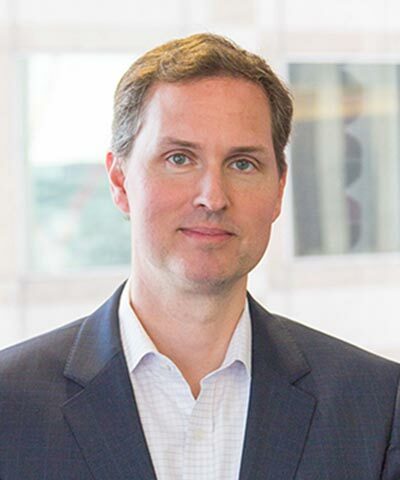 Jonathan Drimmer helps oversee Barrick Gold Corporation’s international regulatory and compliance programs, as well as its global investigation group, entity level litigation and disputes, and other matters. Before Barrick, he was a partner at Steptoe & Johnson LLP and deputy director in the U.S. Justice Department’s Office of Special Investigations, where he investigated and prosecuted cases involving suspected war criminals. He is a former Bristow Fellow in the Office of the U.S. Solicitor General and a judicial clerk on the U.S Court of Appeals for the Ninth Circuit. He has testified twice before the U.S. Congress and teaches courses related to international humanitarian law at Georgetown University Law Center. He serves on the boards of directors of the UN Global Compact’s Canada Network and Trace International and is on the steering committee of the UN Global Compact Business for Peace Initiative, the expert advisory board for the U.S. OECD National Contact Point, and is a subject matter expert at Canada’s Centre for Excellence on Anti-Corruption. He recently rotated off the board of directors of the Voluntary Principles for Security and Human Rights. 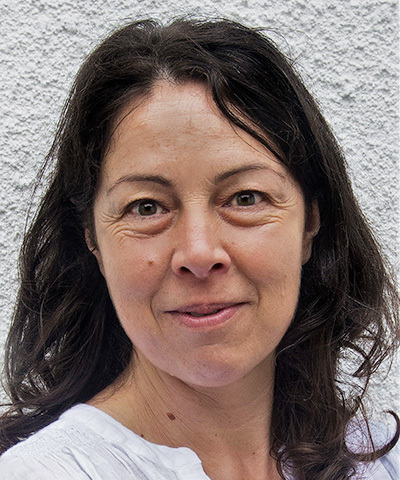 Margaret leads BSR’s global human rights work and brings more than 20 years’ experience working with companies and international institutions to promote sustainable business practices. Prior to joining BSR, Margaret held a special appointment from the United Nations as a member of the UN Working Group on Human Rights and Business. She was the working group’s first chair, spearheading the drive to promote measuring states’ and companies’ human rights performance and to increase the capacity of the UN to engage the private sector on human rights. 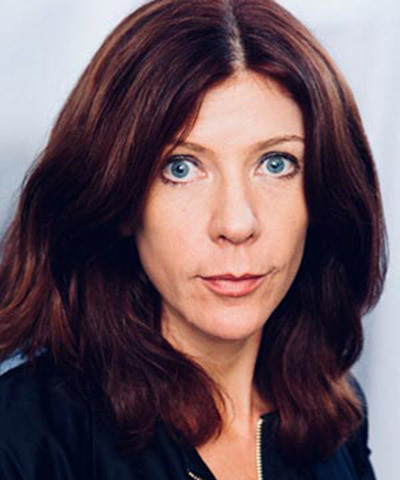 Before joining the working group, Margaret was the founder and director of the business and human rights department at the Danish Institute for Human Rights, where she developed and launched the human rights compliance assessment for companies and grew the department to the largest team of business-focused human rights experts at a national human rights institution. 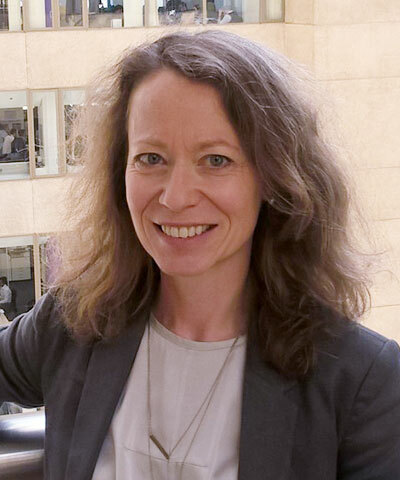 In her capacity at the Danish Institute, she led projects with many global companies to help them integrate human rights into their business strategies and operations, including in complex environments. Margaret holds a Ph.D. in political science, specializing in international human rights law, from the University of Cambridge. Leading companies are no longer simply using sustainable procurement to mitigate risk: They are using it to maximize opportunities and generate business benefits and lasting social impact. Take a comprehensive look at different procurement practices that seek to create economic inclusion and positive social impacts, including integrating poor and vulnerable populations into the workforce across global supply chains. Participants will learn about forward-looking trends in supplier diversity, impact sourcing, and responsible sourcing. 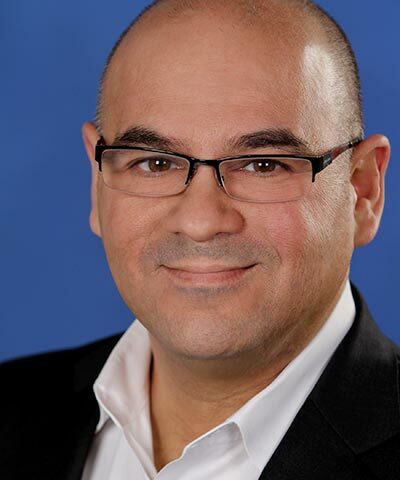 Fernando J. Hernandez drives Microsoft’s strategies to achieve supplier diversity objectives. He is responsible for Microsoft’s US$3.2 billion annual supplier diversity initiative and over US$4 billion in sustainability spend. Prior to joining Microsoft, Hernandez served as senior vice president of multicultural marketing strategy for Washington Mutual Bank, where he established, developed, and implemented comprehensive multicultural marketing initiatives. He formerly served as executive director of multicultural marketing with AT&T. Hernandez was the first to establish and implement multicultural business to business and consumer marketing (Hispanic, African American, and Asian) at AT&T in 1991. This resulted in the creation of a US$3 billion market segment. 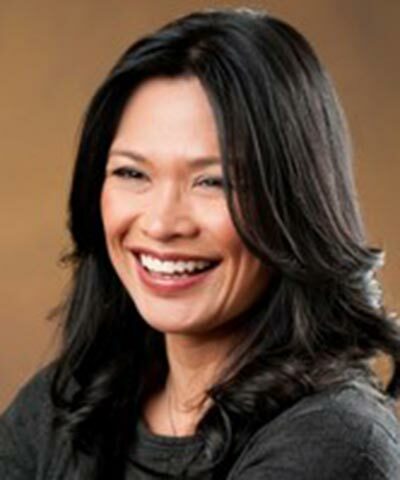 Jocelyn Azada is the director of supply chain sustainability at Nielsen. She was a member of the Mirror Committee for the ISO Standard for Sustainable Procurement, ISO 20400; is a member of the Strategic Advisory Committee of the Sustainable Purchasing Leadership Council; and represents Nielsen as a founding member of the Global Impact Sourcing Coalition. She began her career in CSR/sustainability with a socially responsible fund—the pension fund of The United Methodist Church—with US$14 billion of assets under management. In that role, she engaged Fortune 500 companies on human rights, climate change, and diversity. Prior to joining Nielsen, she was the principal of a certified B-Corp and minority-owned business. The context for business is being rapidly disrupted by emerging technologies, geopolitical volatility, changing social attitudes, nascent climate disruption, and heightened expectations from stakeholders, among other complex changes. Thriving amidst this turbulence will require the creation of more resilient business strategies, with sustainability at their core. This highly interactive session will introduce participants to scenario planning and show how it can be a powerful tool to engage with disruptive future possibilities and to enhance strategic resilience. 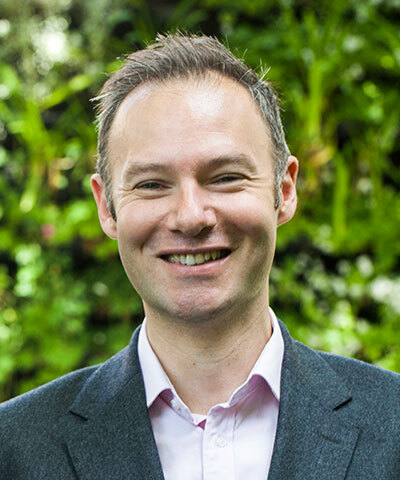 Jacob leads BSR’s Sustainable Futures Lab, a new practice using strategic foresight techniques to help businesses engage with emerging issues that are reshaping the global landscape. 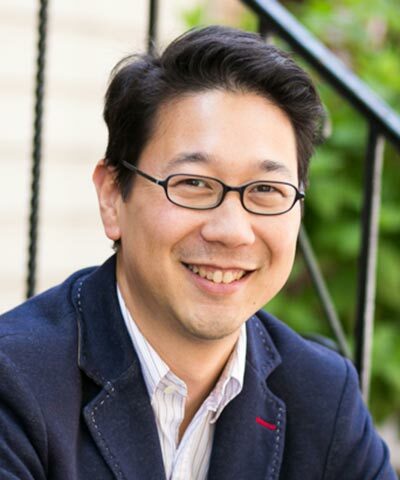 Before joining BSR, Jacob was the lead futurist in the New York office of Forum for the Future, where he used scenario planning and other futures techniques to develop sustainability strategy and drive innovation for leading businesses, foundations, and multistakeholder groups. Prior to that he worked at Adaptive Edge, a boutique strategic foresight consultancy, on collaborative scenario planning. Jacob began his career doing human rights research and advocacy at Human Rights First and the Center for Economic and Social Rights. He speaks English and French. Jacob holds an M.B.A. in Sustainability from Presidio Graduate School and a B.A. in History from the University of Chicago. Increasingly, investors are using shareholder resolutions to encourage companies to address sustainability issues. In 2017, more than 40 percent of all shareholder proposals to large companies were on environmental and social issues. While most of these do not obtain a majority of shareholders’ approval, they often create awareness of possible areas for improvement in a company’s sustainability performance. Companies manage these shareholder resolutions in many different ways: complying without a formal vote, engaging the shareholder on mutually acceptable paths forward, or challenging the resolutions. Explore the pros and cons of these varying strategies—dive into the role of an investor and learn best practice tips from experts on all sides of the table on how to effectively manage shareholder resolutions at your company. 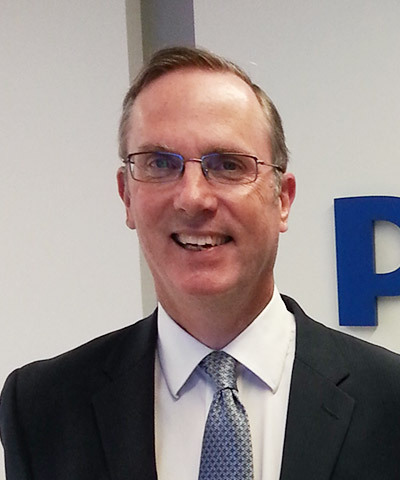 Andrew Aulisi leads the development of PepsiCo’s corporate policies on critical environmental issues. Aulisi has over 20 years of experience working in the intersection between business and sustainability. Most recently, he served as director of sustainability at Credit Suisse, focusing on the integration of environmental and social issues into investment banking and asset management. Aulisi spent a decade in the nonprofit sector and led the markets research program at the World Resources Institute. He started his professional work as an underwriter in the environmental liability division of AIG, where he provided clients with environmental risk management products. 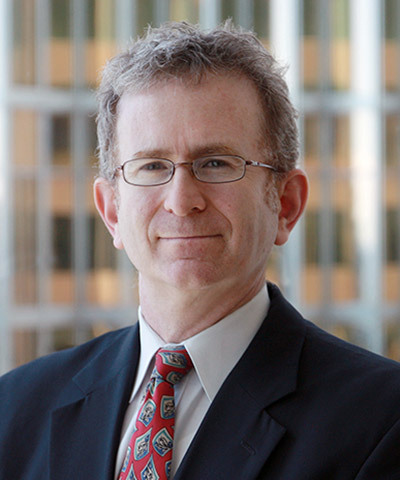 Brian V. Breheny leads Skadden's SEC reporting and compliance practice. He concentrates his practice in the areas of mergers and acquisitions, corporate governance, and general corporate and securities matters. Breheny has advised numerous clients on a full range of SEC compliance and corporate governance matters, including advising clients on compliance with the provisions of the Dodd-Frank Act, the SEC’s tender offer rules and regulations, and the federal proxy rules. He also serves as co-chair of Skadden’s global diversity committee. 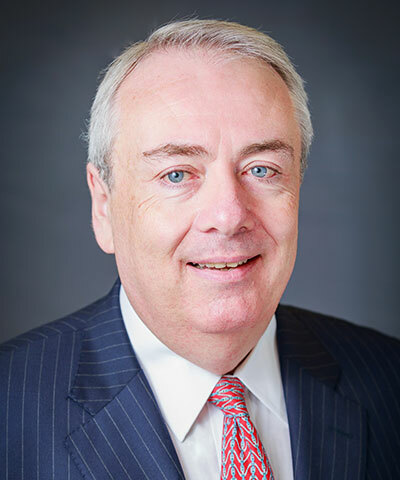 Prior to joining Skadden in 2010, Breheny held a number of leadership positions in the division of corporation finance at the SEC. He began as chief of the office of mergers and acquisitions in 2003, and in 2007 he became deputy director of legal and regulatory policy. 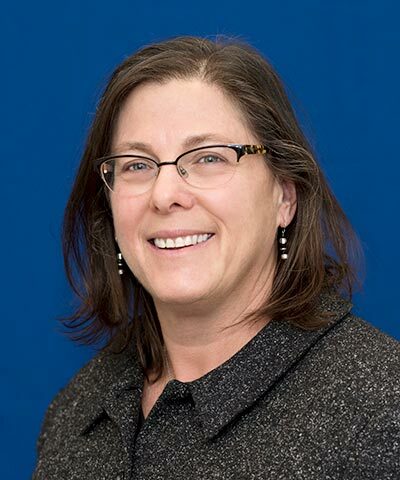 Liz Gordon is the executive director of corporate governance for the New York State Common Retirement Fund in the Office of State Comptroller Thomas P. DiNapoli. 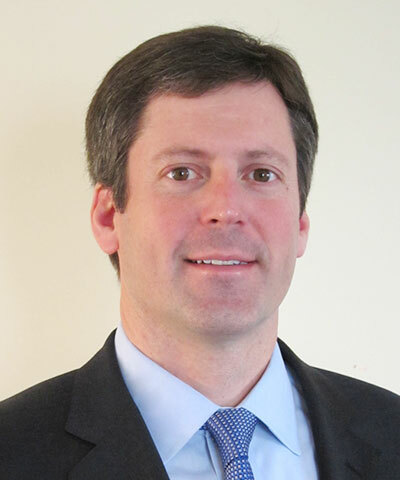 In this role, Gordon leads the corporate governance team’s environmental, social, and governance (ESG) work and implements the Comptroller's commitment, as Trustee, to safeguarding the assets of beneficiaries by ensuring the good governance practices that are essential to sustainable economic growth and reliable investment returns. Her prior experience includes leading the New York Offshore Wind Alliance and serving as deputy chief of staff in the New York State Comptroller’s Office. Gordon has more than 20 years of public policy leadership and project management experience with various New York State agencies, the Governor's Office, and the State Legislature. 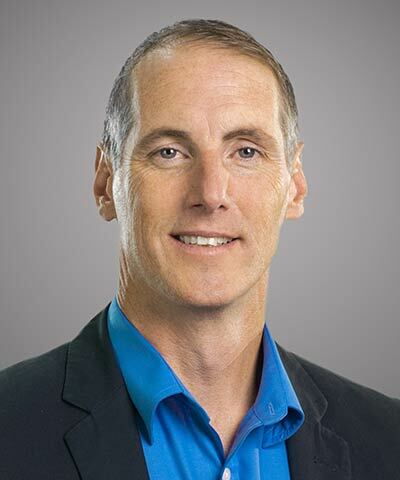 With more than 20 years of sustainable development experience, John leads BSR's global infrastructure and financial services practices, advising companies on corporate sustainability strategy, responsible investing and project development, and environmental, social, and governance (ESG) risk management. Before BSR, John was the founder and president of SunOne Solutions, a leading carbon project developer in North and South America. John worked as a staff member in the World Bank's sustainable development group, where he managed global energy and transport infrastructure projects and the vice president for sustainable development's front office, and served as the infrastructure advisor in the Thailand and Kosovo country offices. 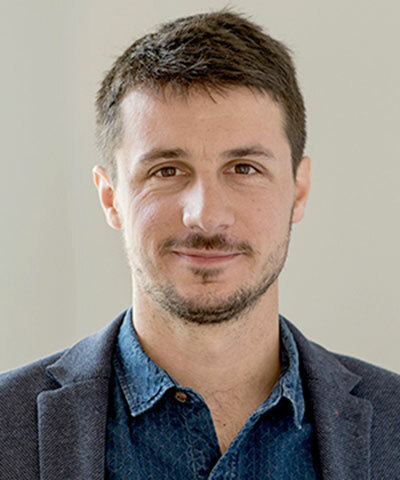 He has also held positions in the airline transport industry, with a private infrastructure project developer in Chile, and with an impact investing fund in the Balkans. John holds an M.P.A. from Harvard University, an International M.B.A. from the University of South Carolina, and a B.S. in International Trade and Finance from Louisiana State University. What do sustainability report users really think about sustainability reporting today? This much-needed conversation will bring together three major users of sustainability disclosures—a civil society organization, a customer, and a policy influencer—to share what they find most decision-useful in sustainability reports today and help you design a more effective reporting strategy. They will also answer important questions about what decisions they make after reading reports, which reporting frameworks they find most useful, and where they would like to see the field head in the coming decade. 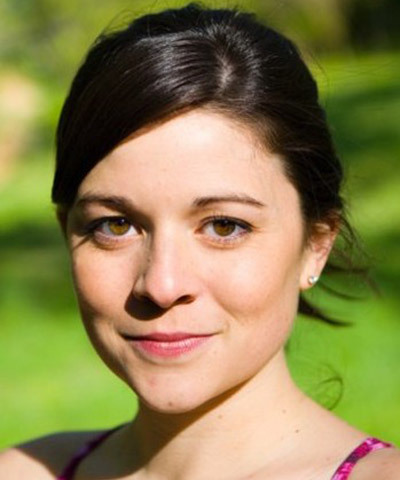 Elizabeth Jardim is a senior corporate campaigner on Greenpeace USA’s climate and energy team. Her work is focused on pushing the technology sector to adopt renewable energy and more sustainable manufacturing practices. She has researched and contributed to Greenpeace’s Guide to Greener Electronics and Clicking Clean reports. Prior to joining Greenpeace, she worked as the campaigns director at Green America, where she led numerous campaigns focused on environmental and social responsibility in the technology, food, cocoa, and apparel sectors. Jardim has extensive knowledge of supply chains, corporate responsibility, and fair trade. Eric Fernald is a director of issuer relations at Sustainalytics and is responsible for the Sustainalytics issuer engagement program. Prior to joining Sustainalytics in January 2018, Fernald worked for MSCI ESG Research as head of ESG corporate communications. From 1995 to 2009, he worked at the pioneer ESG research firm KLD Research & Analytics, Inc., where he was research director from 2004-2009. 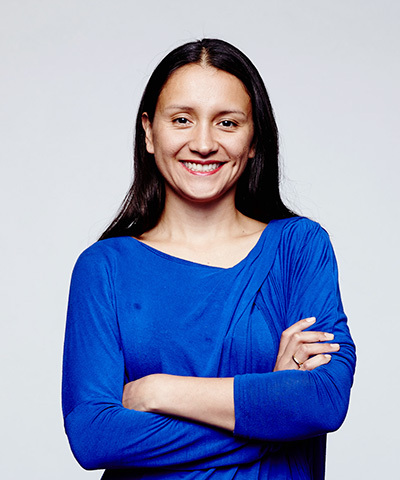 Lina Azuero leads Dell’s corporate CSR benchmarking program, strategy and approach to the UN SDGs, and external reporting to CDP and the Global Reporting Initiative (GRI). Throughout her 20+-year career, Azuero has led the implementation of a wide range of sustainability programs, including packaging, logistics, supply chain, and circular economy. Azuero is currently engaged in Dell’s work with MIT’s SHINE to develop a body of science around net positive analysis of social impacts and outcomes. She also serves as teaching fellow for a course on social responsibility in product supply chains at Harvard University Extension School. Previously, Azuero served as senior advisor and principal program manager for Dell and EMC’s supply chain sustainability teams. 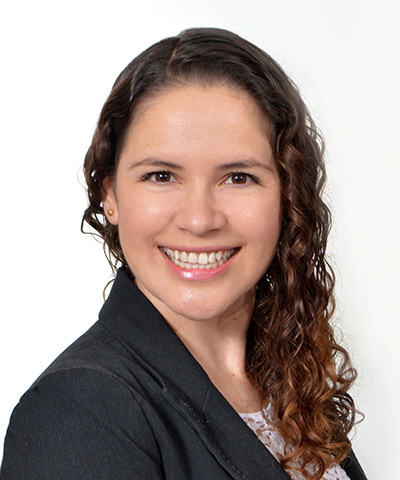 Prior to joining EMC, Lina worked as a sustainability management consultant at CDM Smith. 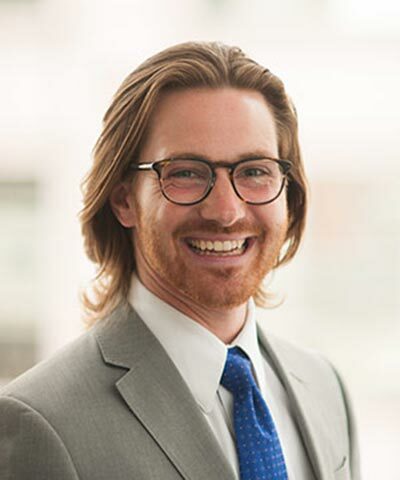 With experience in international management consulting for global corporations, David works with companies on integrating sustainability into corporate strategy, operations, and products and services. David focuses on the financial services and information and communications technology sectors, as well as on the Net Positive Project. 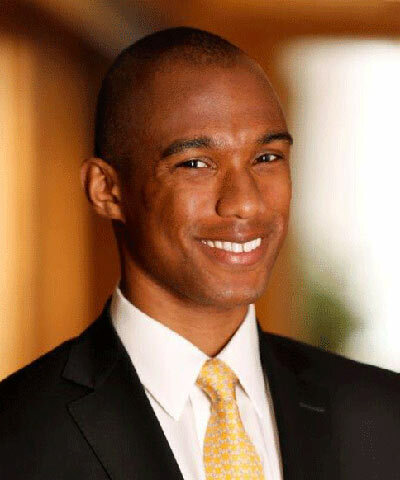 Before joining BSR, David worked in strategy and management consulting at Bain & Company. In that role, he developed evidence-driven approaches to advise companies on issues ranging from operational organization to corporate strategy. His project experience covered a variety of industries, including financial services, technology, healthcare, and consumer products. Additionally, David has worked as an independent consultant in sustainability and nonprofit governance. David holds a B.A. in History from Amherst College. The awareness of and science behind the impact of plastic waste on the environment and human health is growing exponentially. With that comes scrutiny and pressure on the businesses that buy, package, and sell products using this versatile and economical material. Despite the array of interventions at the local, national, and regional levels to stem the flow of plastic waste, it continues to pollute our environment at an unprecedented rate. Can we achieve better oversight of how this multifaceted and multistakeholder issue interplays globally? How do we transform theory into actions and outcomes at scale? Join us to hear how collaborative approaches can accelerate change through shared responsibility, resources, knowledge, and committed action. 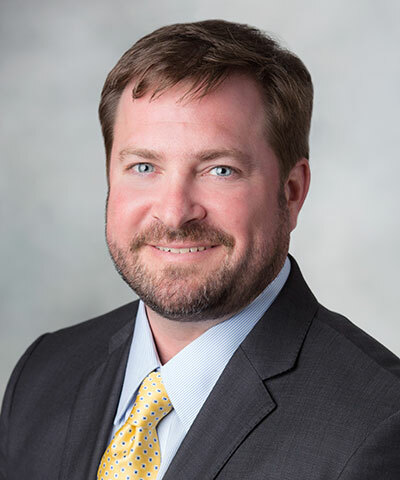 Ben R. Jordan has held roles at The Coca-Cola Company focused on both internal operational issues and relationship-building with key stakeholders. In his current role, he drives sustainability programs in climate, packaging, and agriculture. Jordan has participated actively in Coca-Cola’s involvement with numerous leading environmental organizations, and he sits on the members council of Bonsucro (the Better Sugarcane Initiative), the board of trustees of The Nature Conservancy in Georgia, and the advisory board of Chattahoochee Riverkeeper. He is a participant in the World Economic Forum’s Food Security and Agriculture partners group and the Consumer Goods Forum Pulp, Paper, and Packaging Working Group. Jordan serves as an educational counselor for MIT, an adjunct instructor at Emory University, and a reviewer for the Journal of Industrial Ecology. 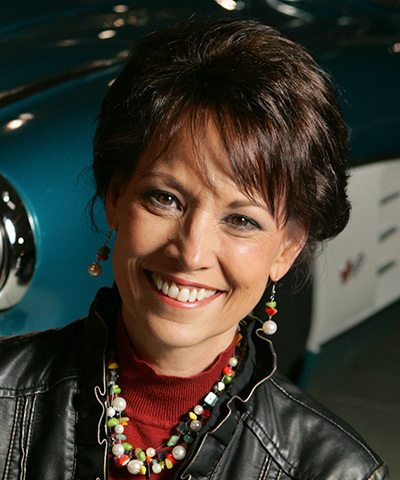 Deb Fillis Ryba is a strategic innovator who has worked to advance sustainability in the public and private sectors. She joined Danone Waters America last year to bring evian’s global sustainability ambition to life in the U.S. 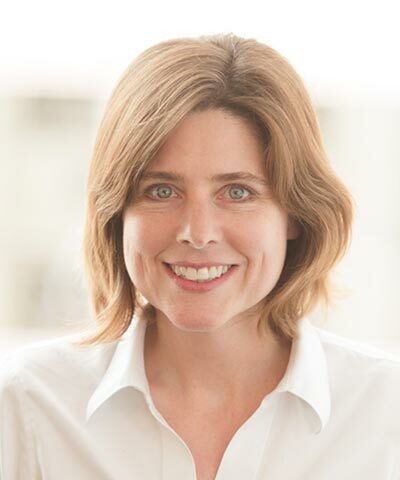 Prior to joining Danone Waters of America, she put coalitions together to address sustainability challenges related to water, packaging and carbon at Nestle Waters North America. She started her career as an environmental scientist and planner at the federal, state, and local levels. Ryba was a Peace Corps volunteer in Namibia. In her free time, she is a social entrepreneur. 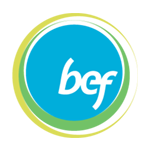 As a consumer sectors team manager, Berkley works with BSR’s consumer products and food, beverage, and agriculture member companies to align business and sustainability strategy and improve social and environmental performance. She also brings expertise on the relationship between climate and freshwater resources to support BSR’s efforts to catalyze private-sector action on climate change. Berkley brings broad experience in reporting and disclosure, stakeholder engagement, issues management, and sustainability storytelling. Prior to BSR, she was part of Edelman’s Business + Social Purpose team and the Ceres water program. She has counseled companies in a variety of sectors and geographies, and collaborated with investors and NGOs to increase understanding of and action on sustainability topics. Berkley has also conducted ecology field research exploring ecosystem controls in the United States and South Africa. While an aging population presents challenges, such as increased healthcare expenditure and requirements for accessible infrastructure, a cohort of healthier, wealthier, and more active older adults is growing rapidly. As empowered consumers, they offer substantial returns for companies in health, technology, financial services, and other industries. As productive workers, they represent an emerging human capital resource for forward-thinking employers. Peer into the exciting potential of the longevity economy and what it means for the private sector. Byron Austin is responsible for scaling Teva's global health programs and managing relationships with U.S.-based global strategic partners. In addition, Austin has oversight of Teva's external sustainability reporting and strategic giving partnerships. Before joining Teva, he led the healthcare practice at BSR, working with over 20 pharmaceutical and medical device companies on a wide range of sustainability issues. 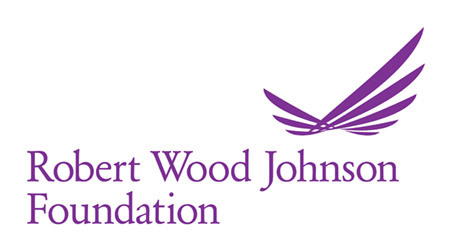 Prior to BSR, Austin managed and developed global health partnerships at Johnson & Johnson, where he engaged a variety of stakeholders in the fields of NCDs, HIV/AIDS, maternal and child health, and digital health. Austin began his career in global health at an HIV/AIDS NGO based in South Africa called mothers2mothers International and later served as a management consultant at Rabin Martin in New York City. Hamlin Metzger leads the development and implementation of the Best Buy’s human rights strategy. In addition, he is responsible for the strategic direction of Best Buy’s Supply Chain Sustainability program, as well as the company’s Conflict Minerals compliance program. 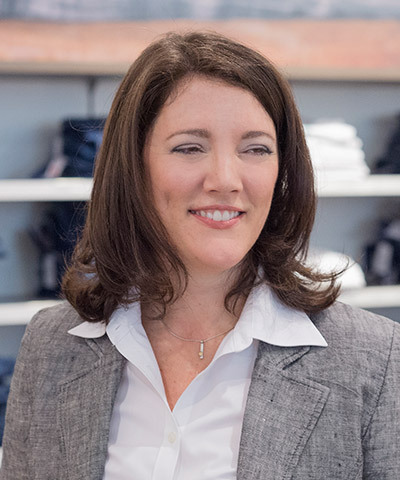 A twenty-year veteran of Best Buy, Metzger held positions in merchandising and operations before moving into corporate responsibility. Hamlin serves on the board of directors at the Responsible Business Alliance and he is the current chair of the Responsible Minerals Initiative, helping to lead multiple industries toward more sustainable business practices. 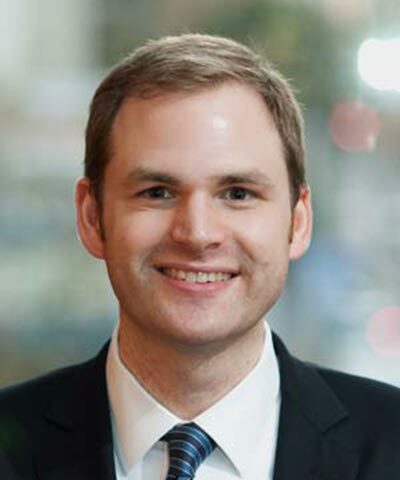 Beyond his role at Best Buy, Metzger is a policy fellow by the Humphrey School of Public Affairs at the University of Minnesota. Roman Smith helps move forward corporate social responsibility efforts that target areas where the needs of AT&T intersect with the needs of communities. These efforts support the vision of AT&T using the power of the network to build a better tomorrow. Smith is responsible for creating and building initiatives that drive societal value in the areas of accessibility, military support, and diversity. 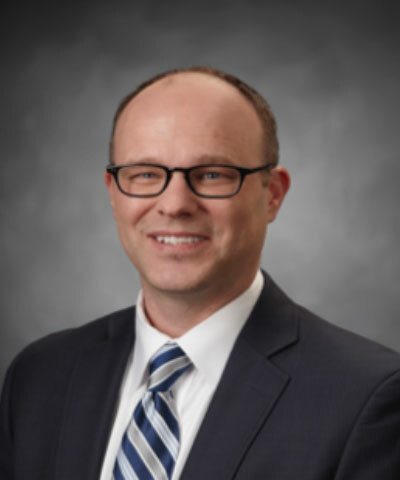 He is part of a core team that is responsible for integrating socially responsible practices throughout the company’s operations; contributing to initiative development and execution; developing and communicating AT&T’s positions; coordinating business operations engagement and communications; and managing stakeholder relationships. Smith has over 21 years of experience in the telecommunications business. He began his career with Southwestern Bell Telephone Company in 1997. Cecile works with BSR members to advance sustainability strategies and better partner with stakeholders to create more resilient and inclusive business practices. She also leads BSR’s global staffing process and oversees professional development and recruitment in EMEA. 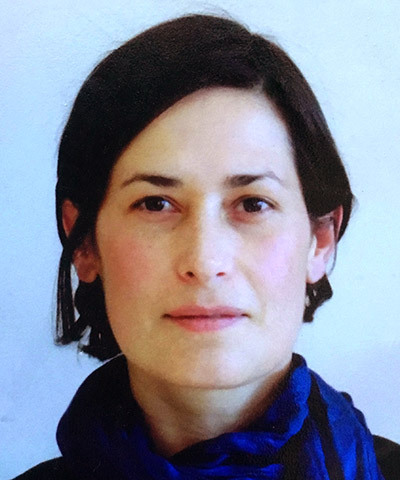 Since joining BSR, Cecile has worked on and led projects on stakeholder engagement, reporting, materiality, and strategy, mostly in the healthcare; consumer products; and food, beverage, and agriculture sectors. 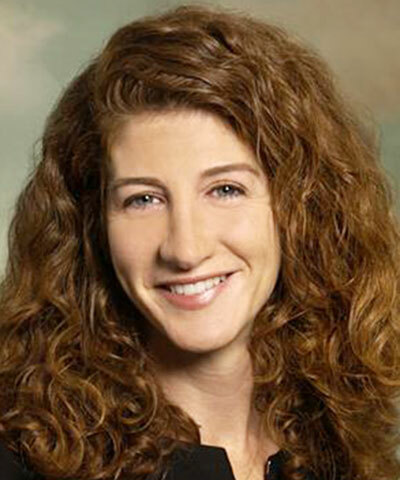 Prior to joining BSR, Cecile served as deputy director for SGS Sustainability Services. Her work involved developing service offerings for sustainable supply chains. 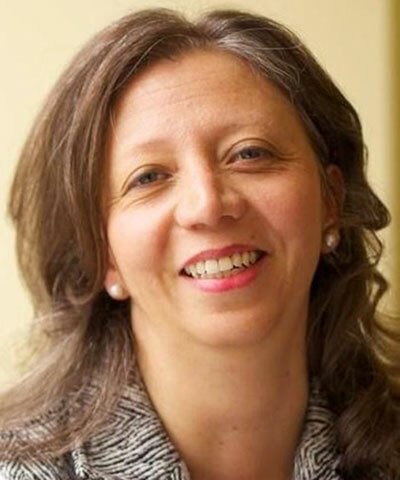 Before that, she was executive director of SFSTP, one of the largest associations of industrial pharmacists in Europe. She started her career in the chemicals industry, working for Clariant in the U.K. and Canada. This past year, technology companies went from “hero to zero” in the blink of an eye. Once seen as an energy and climate solution and great connector and defender of human rights, the tech sector is now perceived by many as too big, anticompetitive, and destructive to institutions. However, innovation remains fundamental to building a just and sustainable world. How can we ensure the lessons of trust from “techlash” are integrated into the future of responsible innovation in companies outside of the tech sector? Although the issues seem obvious looking back now, what should companies have known and done to avoid the “techlash?” Explore how companies in all sectors can learn from the swift change in public opinion and glean lessons from this moment to better embed sustainability into new business models. Cheryl Heinonen drives the strategic narrative of Macy’s and integrates all internal communication into one cohesive strategy. 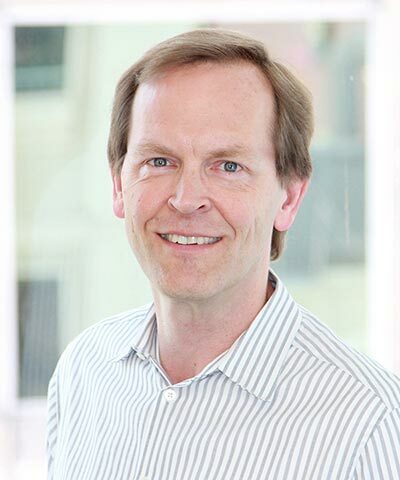 Heinonen reports to the CEO and is responsible for corporate communications (both internal and external), corporate giving, corporate social responsibility, diversity, and associate giving and volunteerism. 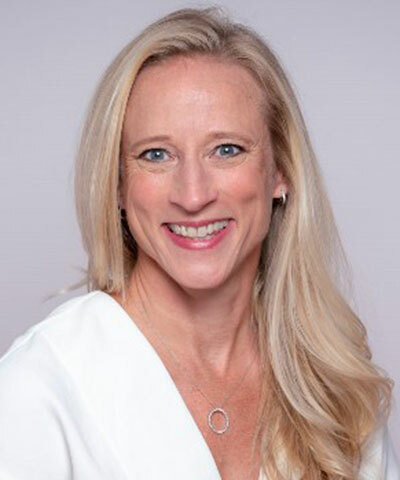 Prior to joining Macy’s, Heinonen held the position of corporate relations senior vice president and chief communications officer at Avon Products, Inc. and president of the Avon Foundation for Women. Before joining Avon, Heinonen was managing director at Burson-Marsteller, a leading global communications agency. 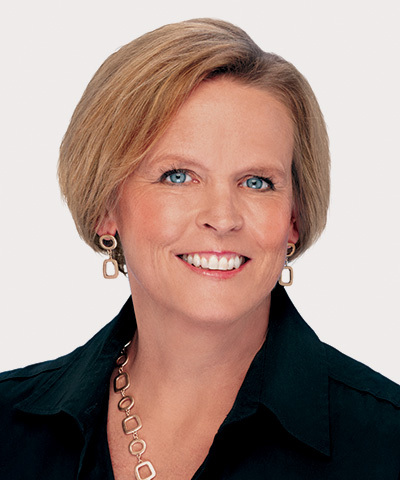 Before assuming her role at Burson-Marsteller, Heinonen worked at Visa, most recently as senior vice president of global corporate relations. 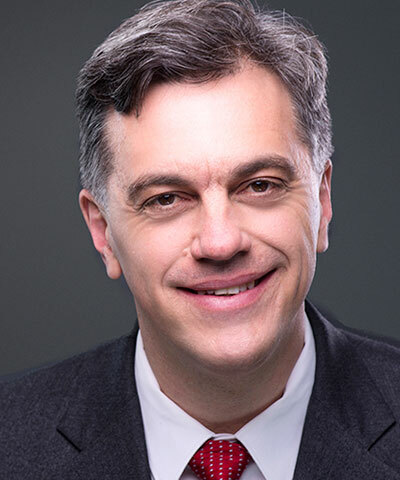 David Raper leads his team to maximize the social and business impact of IBM Corporate Citizenship across Asia, Europe, the Middle East, and Africa. IBM’s Citizenship applies the firm’s talent and technology to help communities thrive during the era of AI in the areas of education, health, and resilient communities. Prior to joining IBM, Raper’s career focused on government reform and not-for-profit performance. Raper has been the director, strategy, and project delivery for the Department of Premier and Cabinet in New South Wales, Australia, working with government agencies to drive performance improvements in urban transport, education, social services, crime prevention, and healthcare. From 2011-2016, he was the senior vice president for social Enterprises and human resources at Housing Works, a leading healthcare and social justice organization. John K.S. Wilson leads a multidisciplinary team that publishes investment research integrating environmental, social, and governance (ESG) issues into thematic equity research and manager due diligence. Wilson has more than two decades of experience in sustainable investing and corporate governance. Previously, he was director of corporate governance for TIAA-CREF. Earlier, he was director of socially responsible investing for Christian Brothers Investment Services. Wilson is an adjunct assistant professor at Columbia Business School, where he teaches an M.B.A-level class on sustainable investing. He is a past vice-chair of the board of the Interfaith Center on Corporate Responsibility and was a founding advisory committee member of the International SRI Working Group, a think tank serving social investing professionals. He has served on the board of directors of the Leviticus. The retail landscape is changing dramatically, affecting product manufacturers and retailers both across the functions of their business and in the wider communities they serve. New technology is remaking the face of retail, and ubiquitous devices and powerful artificial intelligence (AI) are enabling hyper-personalized customer-brand interactions. This two-part, hands-on workshop will explore how the retail landscape might evolve in the next decade. Retail and e-commerce leaders will share their perspectives on industry evolutions, and participants will delve into trends such as AI, the shift toward experiences and services, global trade, and geopolitics. Participants will also address the implications of these trends for business and civil society and identify how they can affect corporate and sustainability strategies going forward. 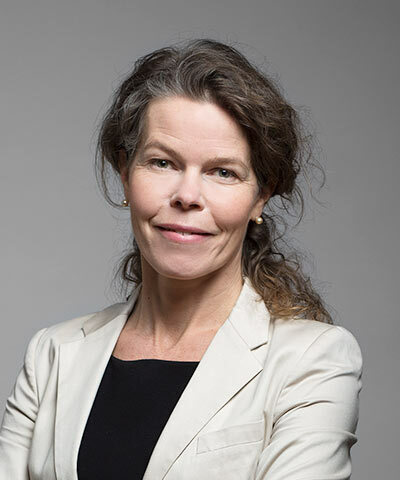 Cecilia Tiblad Berntsson oversees direction, integration, follow-up, and communication of H&M’s social sustainability strategy across functions and brands. With an academic background in economics and industrial engineering, she started her career within the ICT industry, leading into senior roles within customer operations, outsourcing, and supplier management, before entering the area of sustainability and social responsibility a decade ago. Prior to her role at H&M, Tiblad Berntsson worked at ELEVATE as a sustainability consultant and account manager, supporting clients from various industries. Throughout all roles, the interlink between people and business has been the red thread—and she is inspired by being able to work with business, social sustainability, and innovation. Elisa leads BSR’s consumer sectors practice globally. She works with companies in the luxury, beauty, fashion, hospitality, retail, and food industries to better integrate sustainability into core business strategy, products, and operations. She helps companies use business assets to solve society’s global challenges, evolve brand strategy to integrate changing consumer expectations, and better partner with stakeholders to create more resilient and inclusive business practices. Elisa also leads BSR’s Responsible Luxury Initiative. 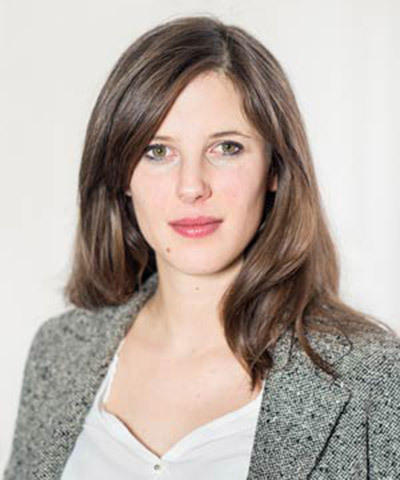 Prior to joining BSR, Elisa was an account manager at Chanel and a consultant at Accenture and Ernst & Young. Elisa is French-American. 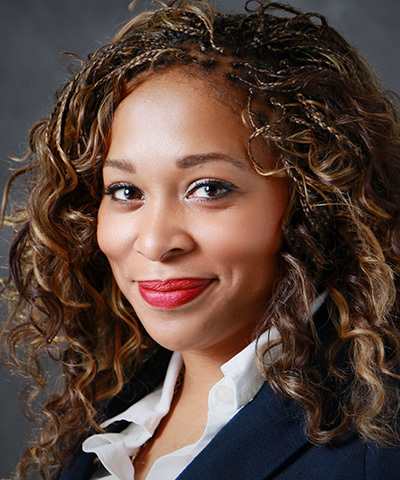 She holds an M.B.A. in Luxury Goods Marketing and Management from Sup de Luxe, an M.A. in International Relations from the Institut d’Etudes Politiques Paris and a B.A. in French from the University of Pennsylvania. What does supply chain transparency look like over the next decade? When more than two billion people in the world own a smartphone, information production is increasingly democratized in real time. How should companies think about what information to collect and what to share about their supply chains? Investigate promising developments in accelerating supply chain transparency in ways that are more collaborative, less resource-intensive, and more decision-useful. Hear from funders catalyzing the new supply chain transparency landscape, NGOs partnering to make supply chain information open source, and companies implementing practical and impactful approaches. Ivanka Mamic is an experienced senior sustainability professional with over 18 years of experience in the sector. 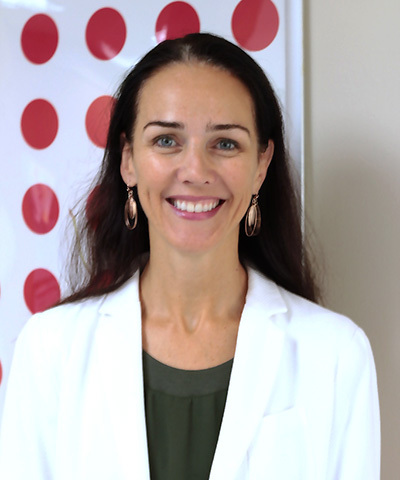 Mamic joined Target in 2015, where she leads global teams working on social and environmental matters relating to Target’s manufacturing supply chain for all product categories. Prior to this, she worked for the International Labour Organization, providing technical leadership and advice on the ILO’s CSR-related activities, including the ILO/IFC Better Work programme. Mamic’s work on CSR has been published in several books, as well as in leading journals and she has undertaken collaborative research on CSR with leading academics from Columbia University, Harvard University, and Sydney University and others. 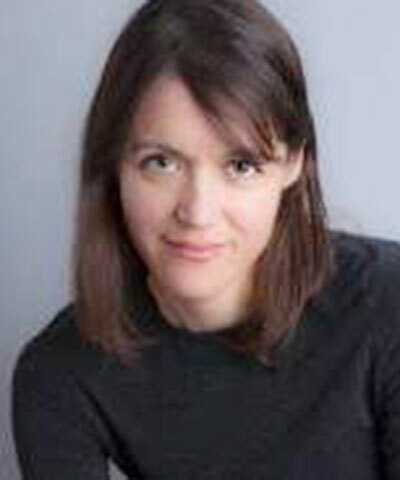 Kate Logan is former outreach director at the Institute of Public and Environmental Affairs (IPE), a nonprofit environmental organization based in Beijing that promotes information disclosure and public participation as means of strengthening environmental governance mechanisms, reducing emissions, and improving environmental quality. Her main work there focused on outreach surrounding IPE’s green supply chain initiative to integrate transparency and stakeholder participation into existing supply chain management systems. Prior to joining IPE, she received a Princeton -in -Asia fellowship to serve as a research fellow on the China Environmental Law & and Governance Project at the Beijing office of the Natural Resources Defense Council, where she researched the implementation of environmental public interest litigation in China. Leslie Johnston joined C&A Foundation as its first Executive Director in late 2013 and brings over 20 years of management experience across multiple sectors, including smallholder agribusiness, entrepreneurship, and corporate philanthropy. At C&A Foundation, Johnston led the development of the foundation’s first global vision, mission, and strategy, anchored on making fashion a force for good. She oversees a team of over 50 people in nine countries and a grant budget of over EU€50 million, working to improve lives and livelihoods across the foundation’s five signature programs. Prior to this role, she managed the Swiss-based Argidius and COFRA Foundations, committed to helping enterprising people to help themselves. She was also the Deputy Director for TechnoServe in West and Southern Africa and has worked for McKinsey & Company in Washington, DC and South Africa. Artificial intelligence (AI) has the potential to address some of humanity’s most pressing challenges, such as those relating to healthcare, education, transportation, and criminal justice. AI also brings new human rights risks as diverse as non-discrimination, privacy, child rights, security, freedom of expression, and access to public services. The swift development of AI raises many new challenges for human rights, such as how to undertake human rights due diligence for complex technologies and how to address the massive uncertainty in how AI will evolve. Delve into the debate around designing a new generation of human rights due diligence methods that enable the integration of human rights into company decision-making about AI across all industries. Mark Hodge has been working in the business and human rights arena for the past decade. 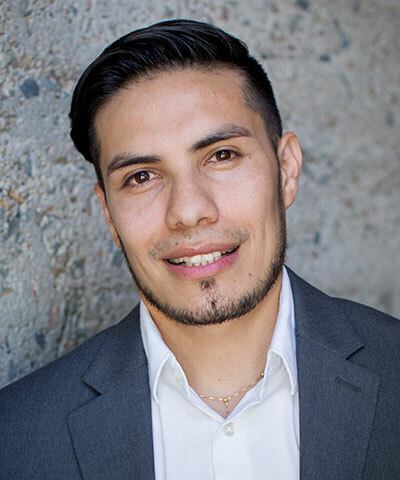 He is currently freelance and focuses on a small number of initiatives aimed at addressing systemic issues and opportunities facing the responsible business field. 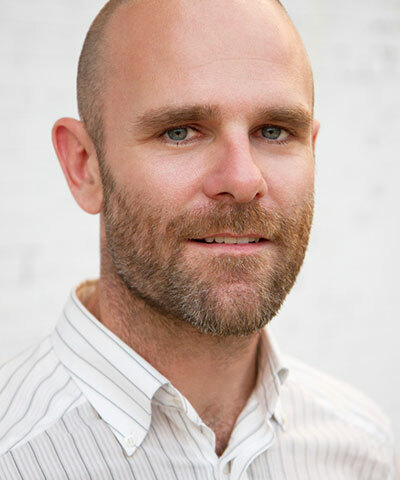 A major area of Hodge’s work is exploring the interface of technology and business impacts on human rights. In 2018, he has been working with BSR to explore the application of the UN Guiding Principles on Business and Human Rights to the societal risks and opportunities presented by artificial intelligence. He is also a senior associate at Shift, where he leads the Valuing Respect project, a global collaborative platform to research and co-create better ways of evaluating business respect for human rights. Hodge was previously the Executive Director of the Global Business Initiative on Human Rights, which he co-founded. Moira Oliver was appointed head of policy and chief counsel, human/digital rights at BT in July 2015. She is responsible for BT’s human rights program in the U.K. and internationally, covering policy development, due diligence, modern slavery, sport and human rights, privacy, and free expression issues. 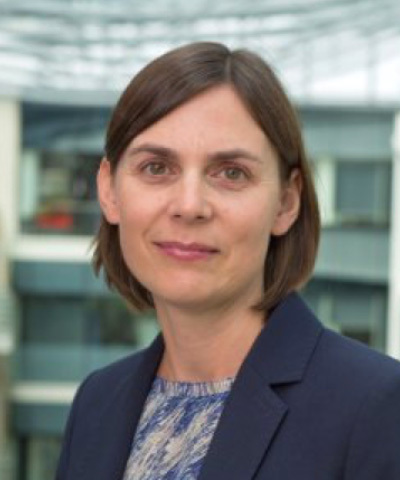 Previously, as BT’s head of legal, corporate responsibility, and environment, she led BT Group’s U.K. and international legal teams advising on environmental issues and charity engagement. Oliver started her career as a solicitor at the law firm Slaughter and May, specializing in corporate and banking advisory work. She is qualified as a solicitor in the United Kingdom. 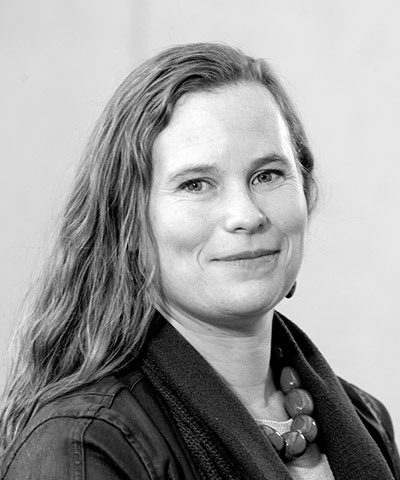 Hannah works with multinational companies to align business and human rights strategies and facilitate incorporation of sustainable practices into business operations across sectors. She focuses on the intersection of human rights and new, disruptive technology and leads the Tech Against Trafficking collaborative initiative. Prior to joining BSR, Hannah worked with the Skoll Foundation, where she co-led the portfolio and investments team’s efforts to identify social entrepreneurs with the potential to drive large-scale social change. Her work led to over US$20 million in grants and investments between 2015 and 2018. Before Skoll, Hannah spent six years working in anti-human trafficking in West Africa, Southeast Asia, and the Bay Area. Automation and artificial intelligence are projected to cause wide-scale changes to jobs worldwide; these changes will require new skill sets for the individuals in affected roles beyond those they currently possess. Companies at the forefront of this shift are investing in their workforces and suppliers to prepare for the future of work. Join us for a crucial conversation exploring how to pilot new technologies, select individuals for upskilling and train them, and partner with educational institutions to ensure equal opportunity to develop the job skills of the future. 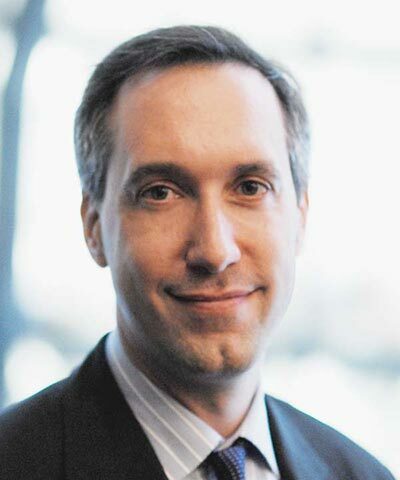 Andrew Moose is Head of the World Economic Forum’s retail, consumer goods, and lifestyle industries. He is responsible for the development of industry strategies as well as the advancement of the Future of Consumption System Initiative. 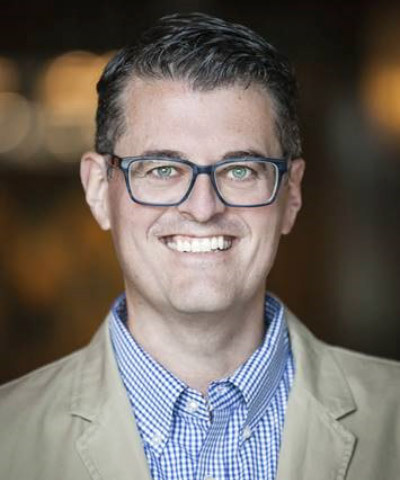 Previously, Moose worked as a management consultant with a focus on strategy, innovation, and technology-enabled growth serving clients in North America, South America, and Europe. Maria Sepulveda is passionate about driving a positive impact in communities and the environment. Her experience includes more than 10 years in the field of sustainability. She has developed and implemented global sustainability programs by collaborating with around 100 manufacturing and logistics sites worldwide. 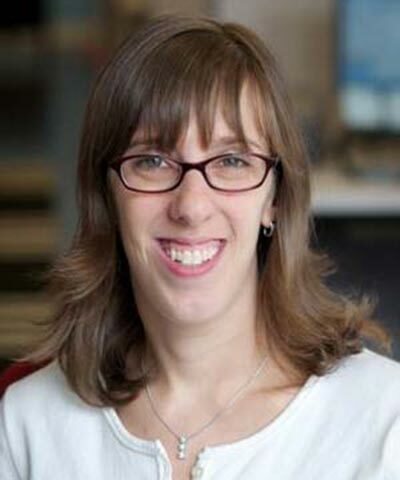 She has helped drive sustainability transparency efforts, including Flex’s GRI report, participation in DJSI, and CDP climate change and supply chain programs. She has also helped advance programs focused on the adoption of the UN SDGs. Prior to this appointment, she was global manager of corporate sustainability and global citizenship. She has also served as regional environmental and CSR supply chain lead. Mary de Wysocki has over a decade of experience leading various CSR and education initiatives for Cisco. She currently heads up the corporate affairs strategy, including new program development, public benefit investment and the Cisco Foundation, and research and insights. As technology rapidly changes the world of work, local communities, and our daily lives, de Wysocki’s team is proactively creating initiatives to enable opportunity for all. By equipping a new generation of “global problem solvers” with the skills they need to survive and thrive in an increasingly digital future, Cisco corporate affairs hopes to impact 1 billion lives around the globe by 2025. To do this, de Wysocki draws on her legal training, background in strategic consulting, and on-the-ground program management experience to launch and scale programs that look for new ways to inspire digital natives to become entrepreneurs, invest in early-stage startups that leverage technology for social good, collaborate with public universities to create sustainable local ecosystems harnessing the power of digitization, and partner with nonprofits serving underserved people around the world who use technology to transform lives. There’s a new mechanism in town to drive sustainability in your supply chain: activating ESG supply chain finance programs. We will showcase specific examples of successful programs and the impacts they have achieved in this panel. Find out how these programs work, what the critical success factors are that make them work; and how new technologies, including blockchain, are making these programs easier to implement and more desirable. The session will conclude with an exploration into innovative new opportunities to incentivize suppliers with better financing for sector-wide collaboration. 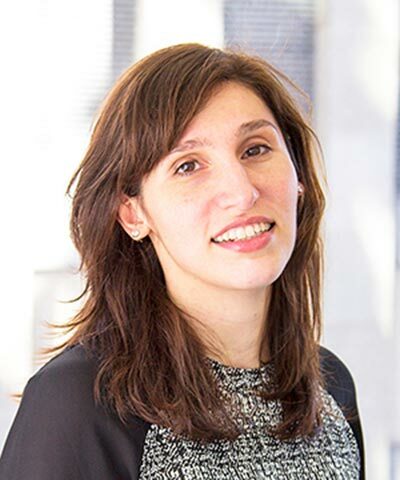 Leora Klapper is a lead economist in the finance and private sector research team of the development research group at the World Bank. Her publications focus on corporate and household finance, entrepreneurship, and risk management. Her current research studies the impact of digital financial services, especially for women. She is a founder of the Global Findex database, which measures how adults around the world save, borrow, make payments, and manage risk. Previously, she worked at the Board of Governors of the Federal Reserve System and Salomon Smith Barney. 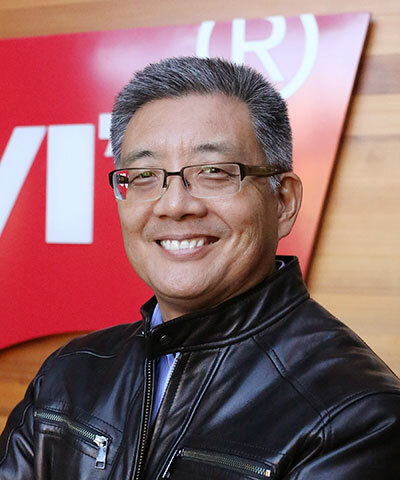 Vice President, Sustainability, Levi Strauss & Co.
Michael Kobori is responsible for the sustainability strategy and programs at Levi Strauss & Co. Under Kobori’s tenure, the company has been a pioneer in sustainability through its Water<Less™ products; commitment to Zero Discharge of Hazardous Chemicals; science-based carbon emissions target; Worker Well-being program; and Care for the Planet™ product labels to encourage consumer awareness of sustainable garment care. A hallmark of Kobori’s leadership has been a commitment to supporting a more sustainable apparel sector: all of the company’s sustainability innovations are open-sourced to the rest of the industry. Kobori is a director of the Cotton Board and council member of the Better Cotton Initiative. He is also a lecturer at the Haas Business School at UC Berkeley and is the executive producer of Utopia Theatre Project, an independent, artist-run theater company. Suresh Subramanian leads the Trade and Treasury Solutions Americas business in BNP Paribas' Corporate and Institutional Banking division. 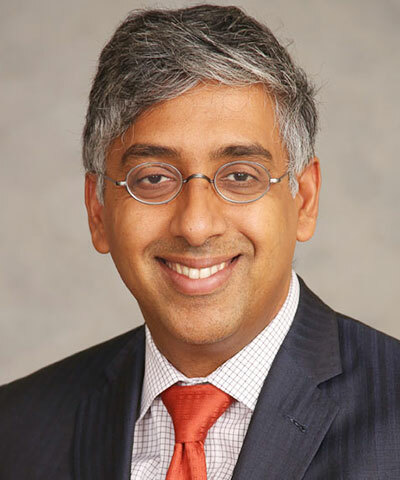 With over 25 years in the industry, Subramanian brings a wealth of experience to the variety of advisory boards on which he serves, including representing BNP Paribas on the board of directors of the Bankers Association for Finance and Trade (BAFT). As a senior leader within BNP Paribas, he holds several positions including; member of the Executive Committee for Corporate and Institutional Banking; member of the Global Strategic Board for Trade, Cash Management and Correspondent Banking; and member of the Corporate Social Responsibility Council for the Americas.